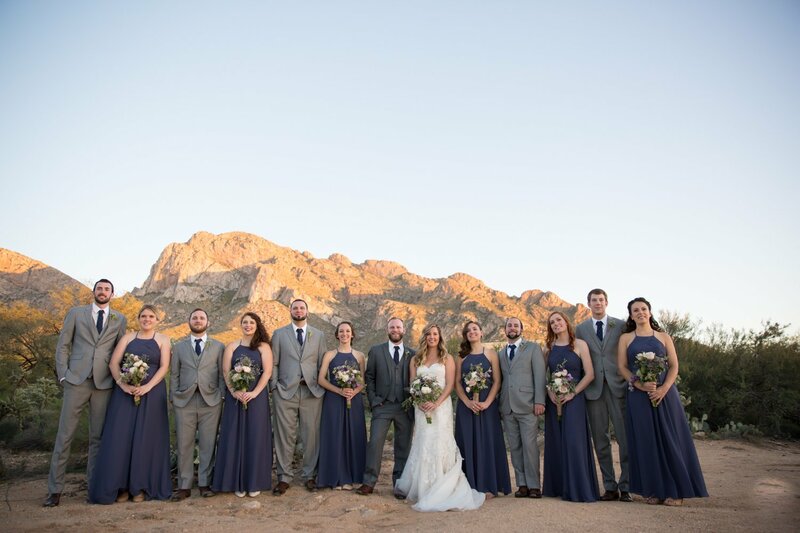 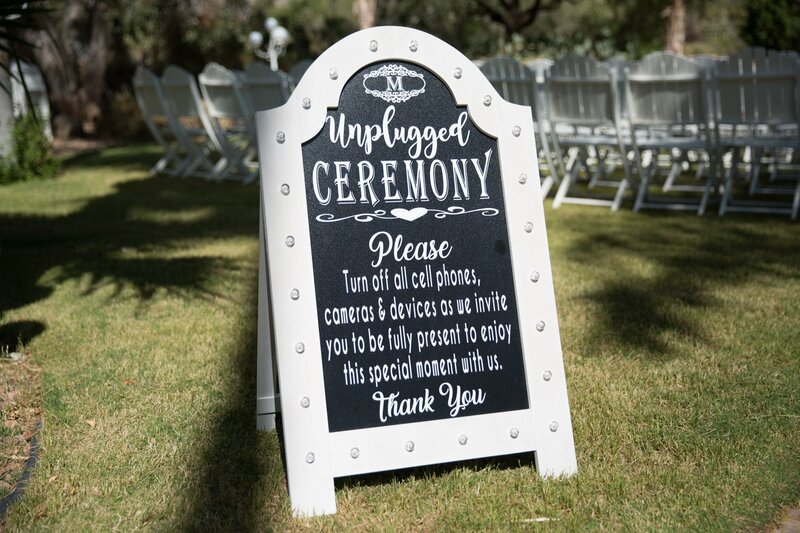 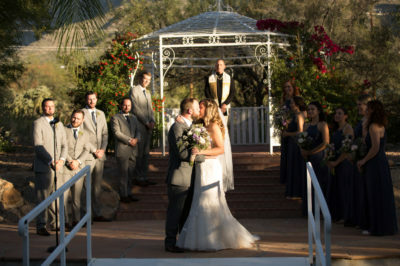 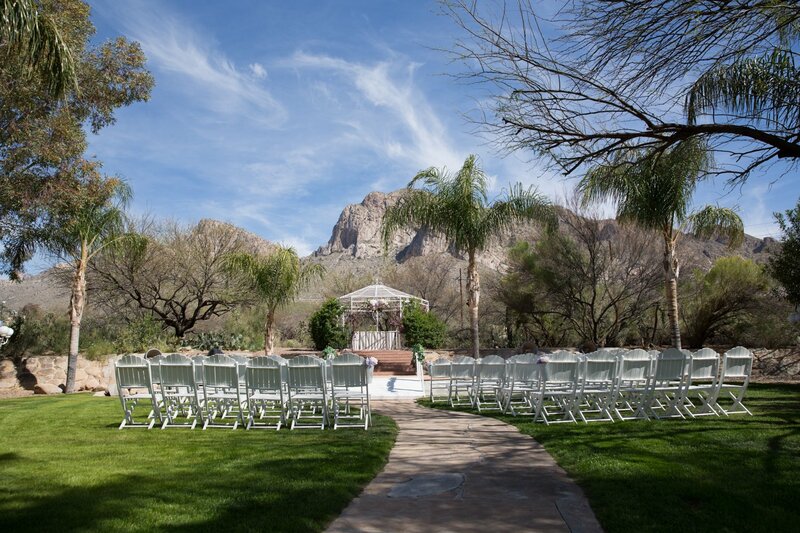 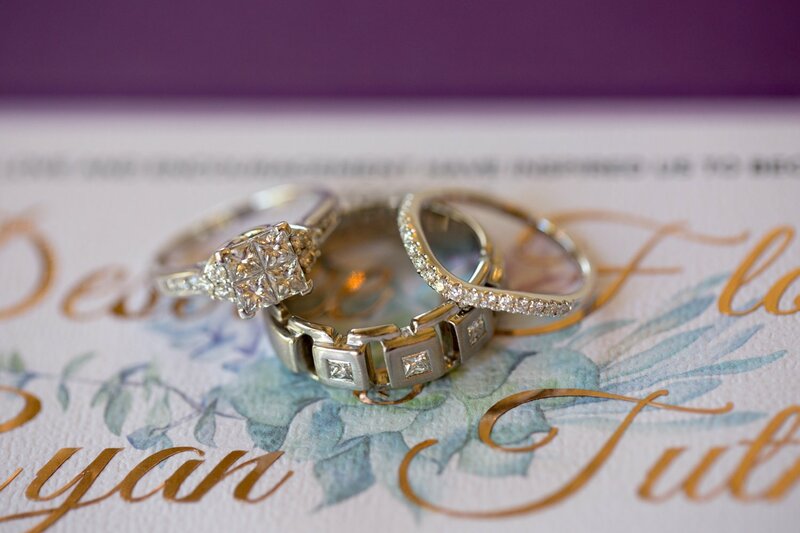 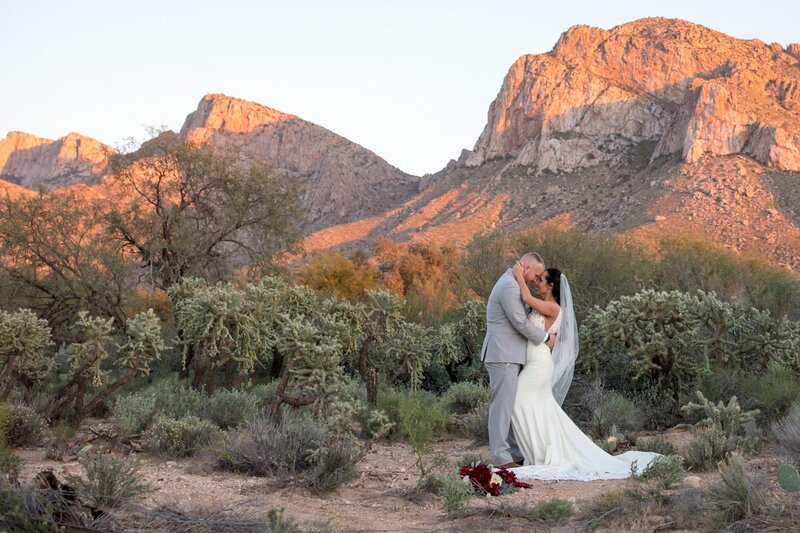 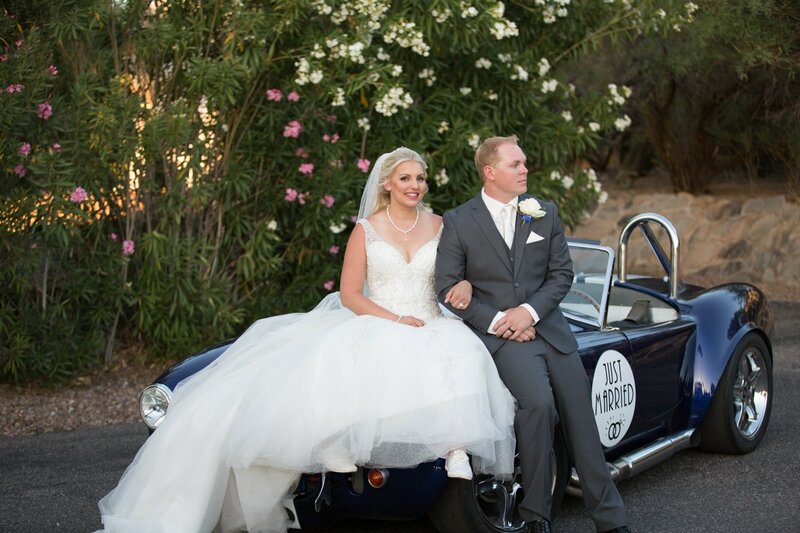 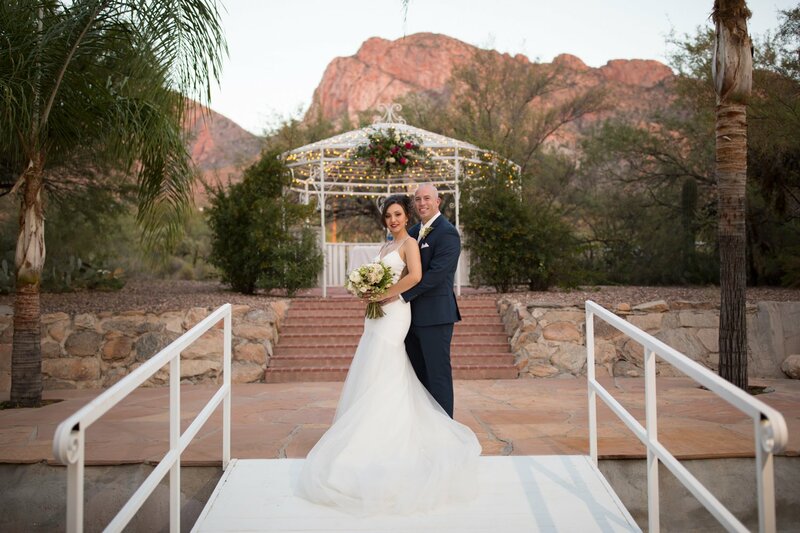 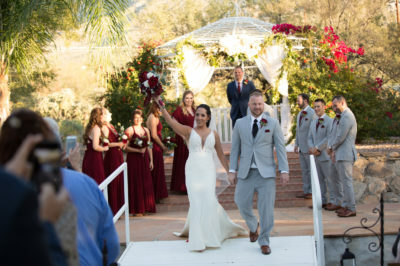 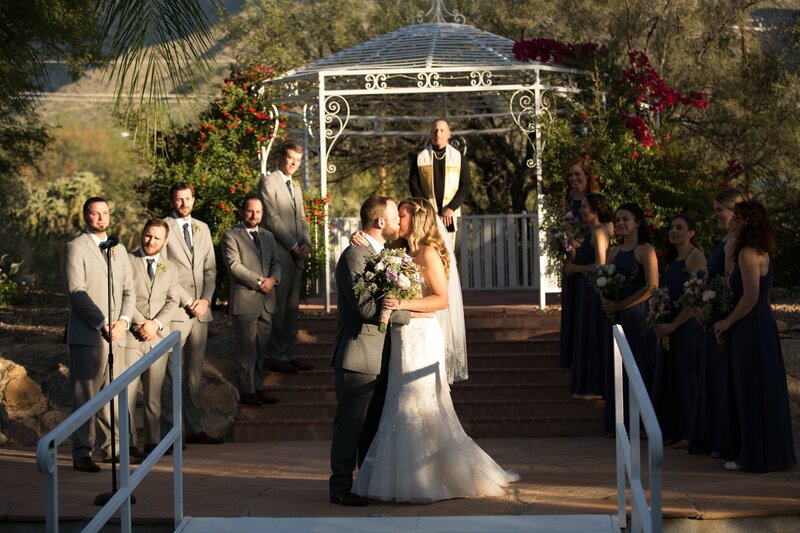 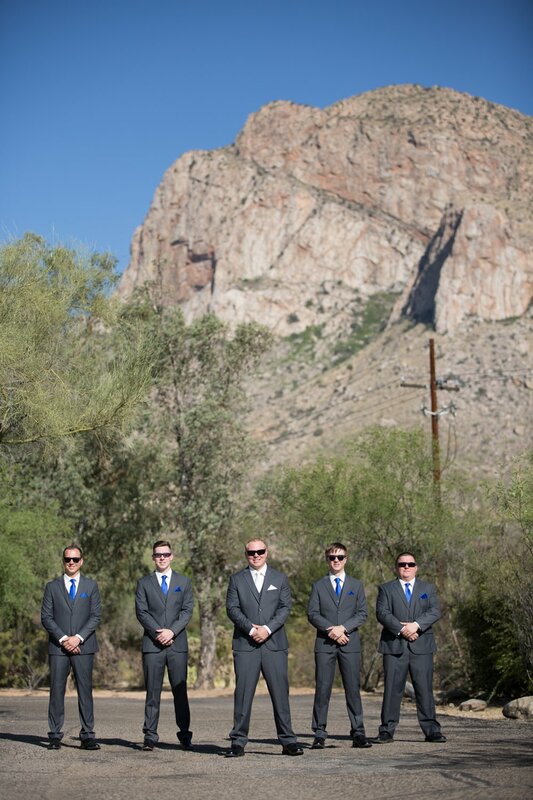 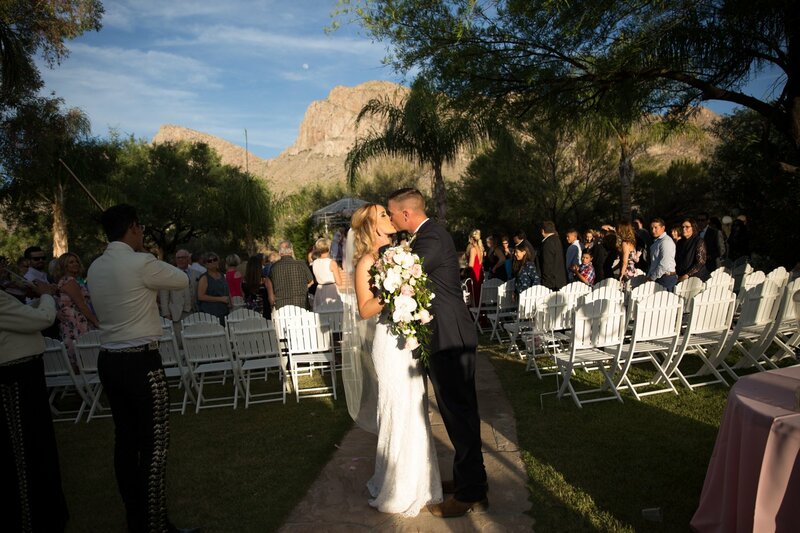 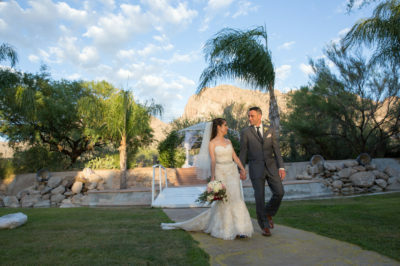 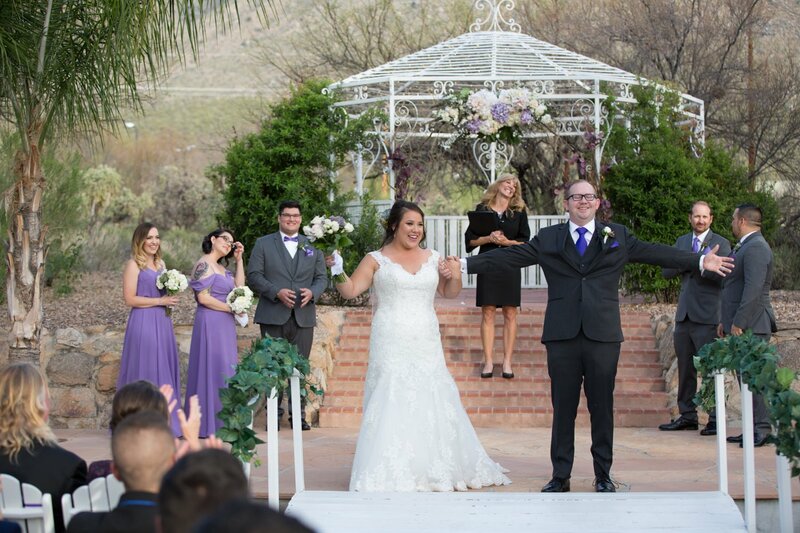 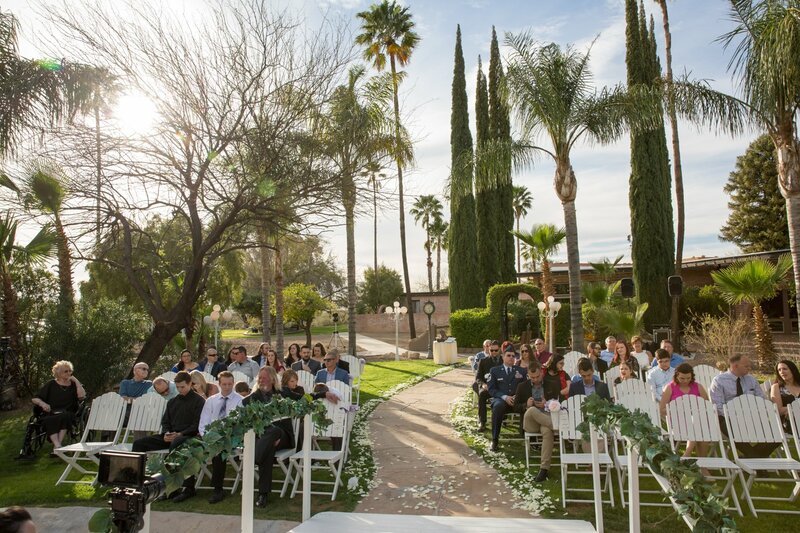 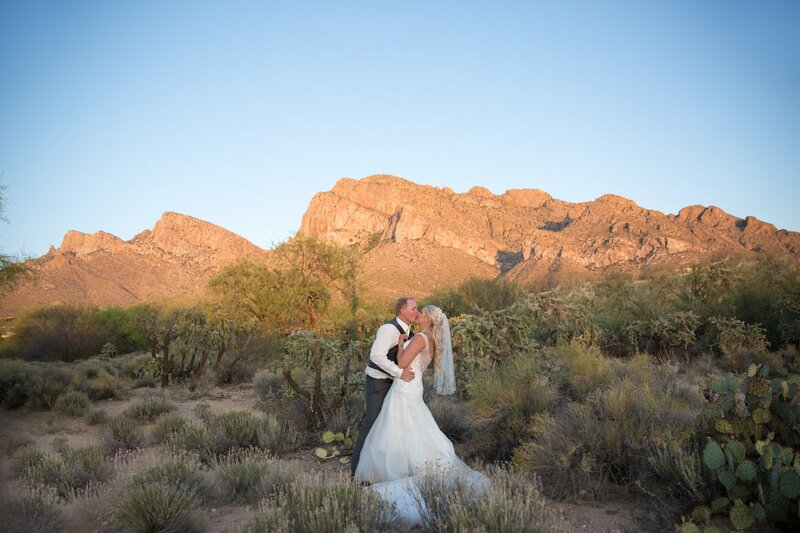 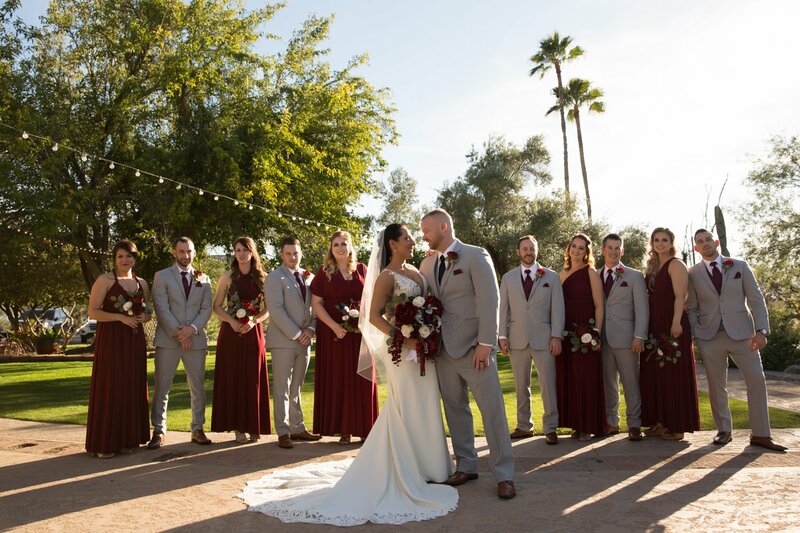 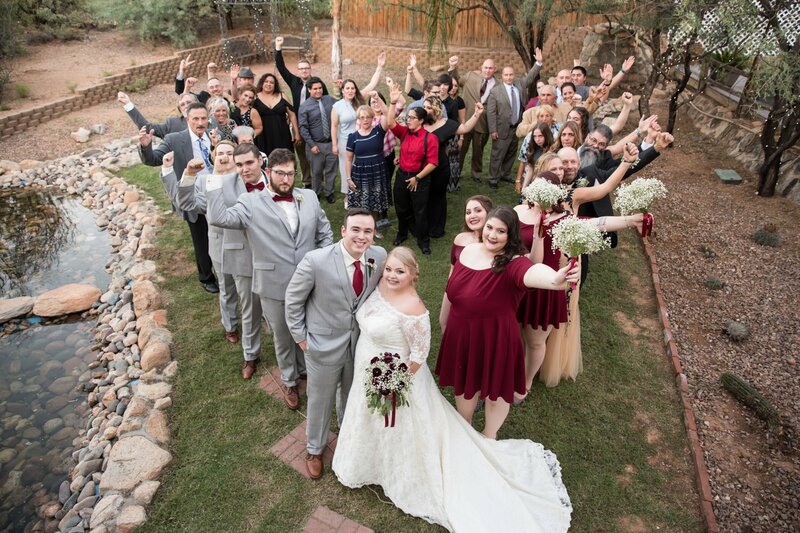 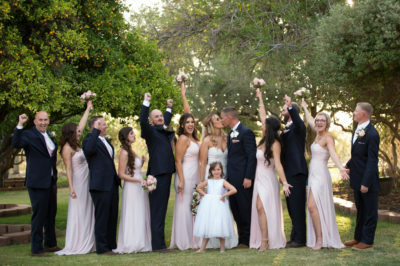 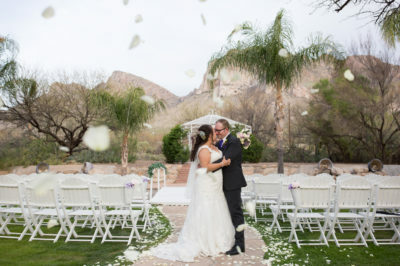 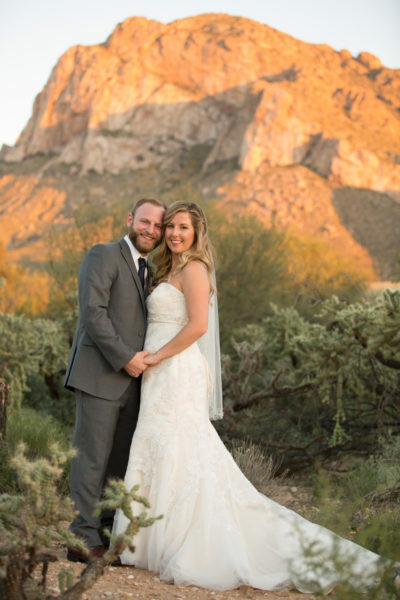 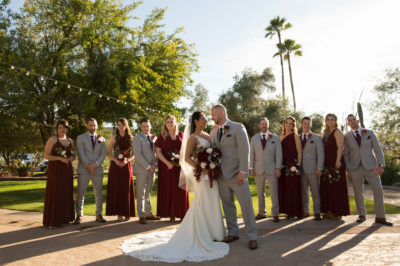 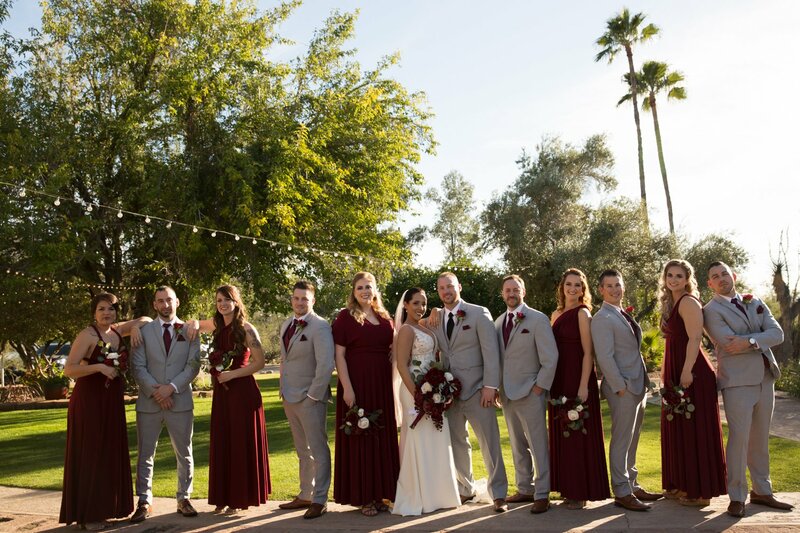 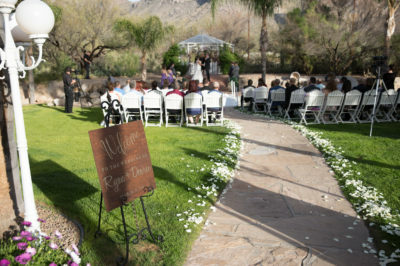 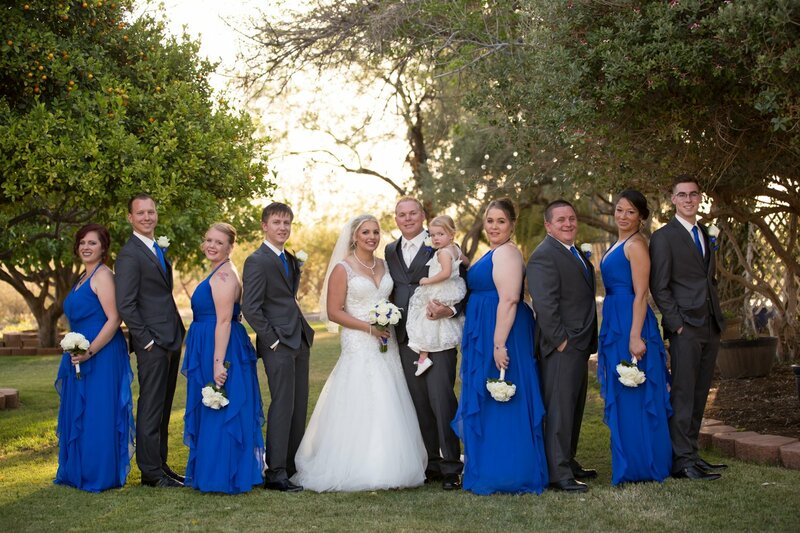 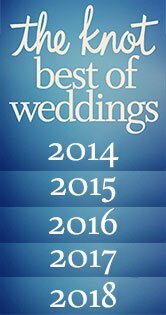 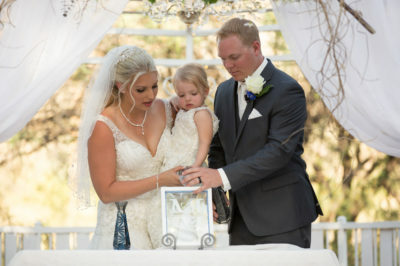 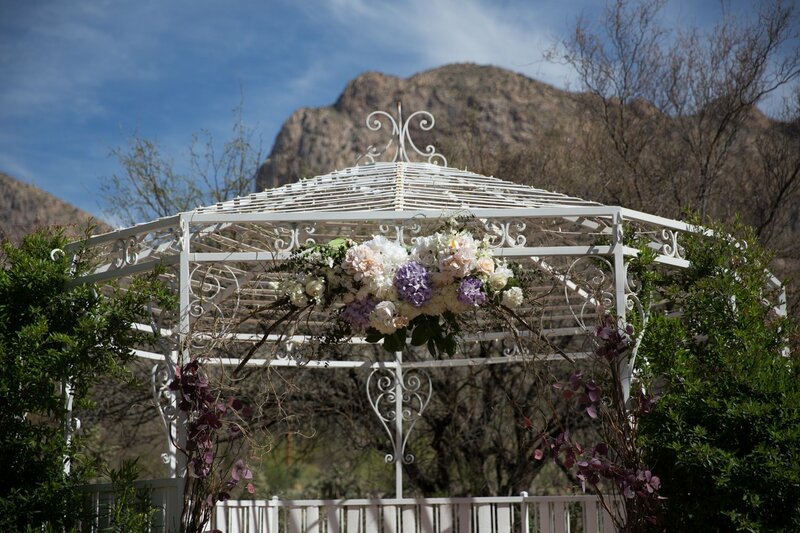 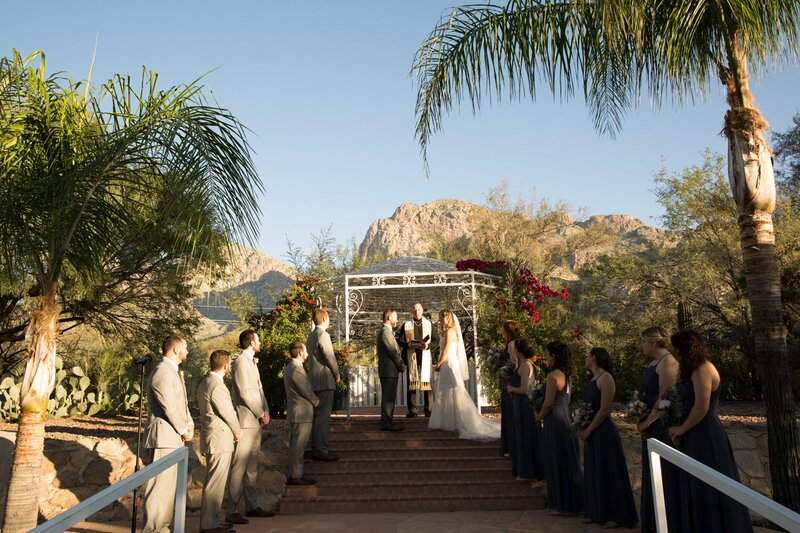 The famous Buttes at Reflections is a wedding site located among the mighty Pusch Ridge Mountains. 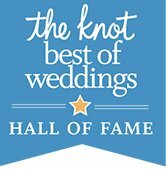 The wedding lawn is beautifully manicured with grass and flowers. 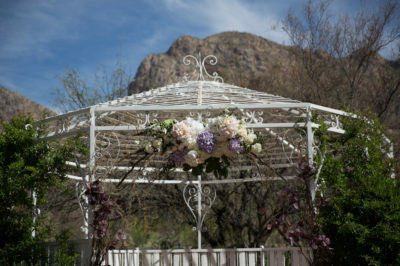 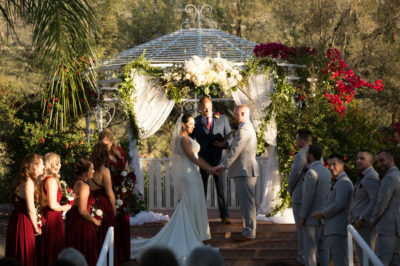 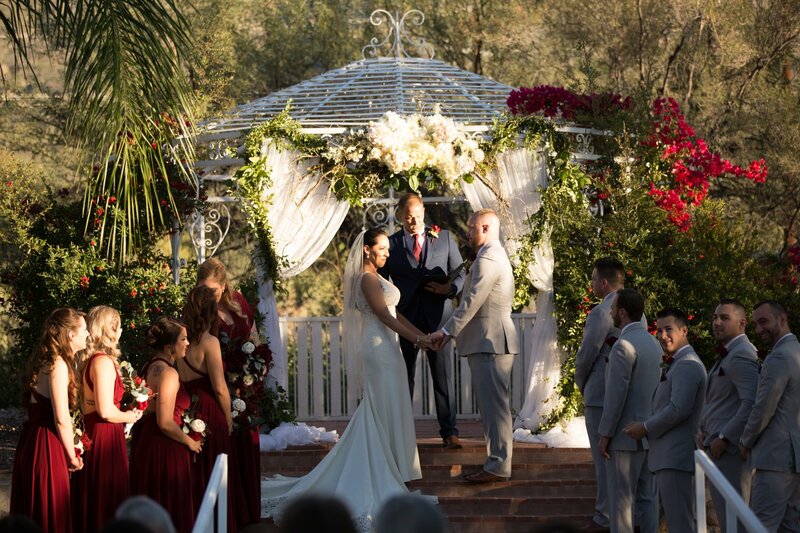 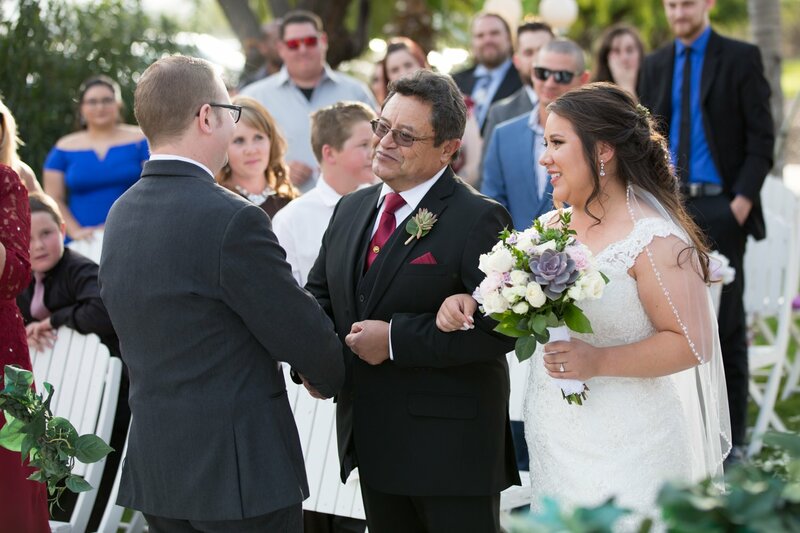 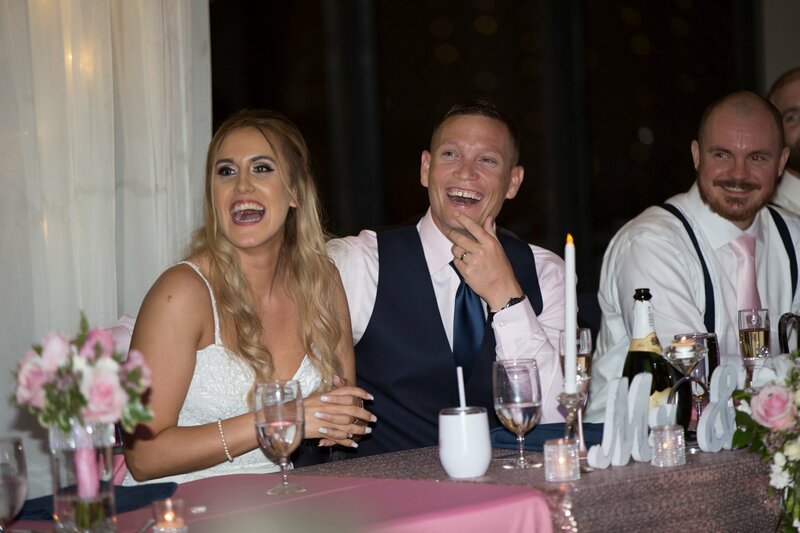 The wedding gazebo features a bridge over water where the couple and wedding party stand during the ceremony. 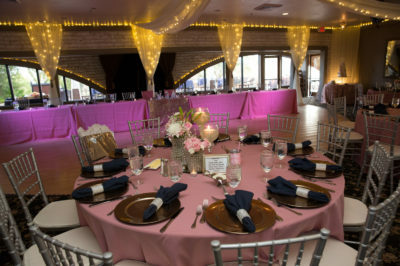 Inside there are rooms for both prepping and celebrating. 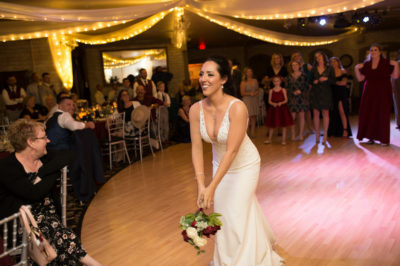 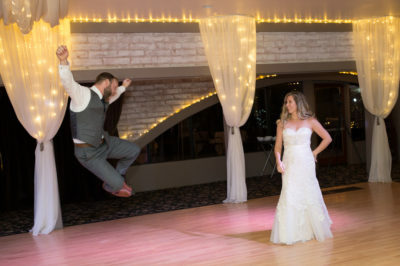 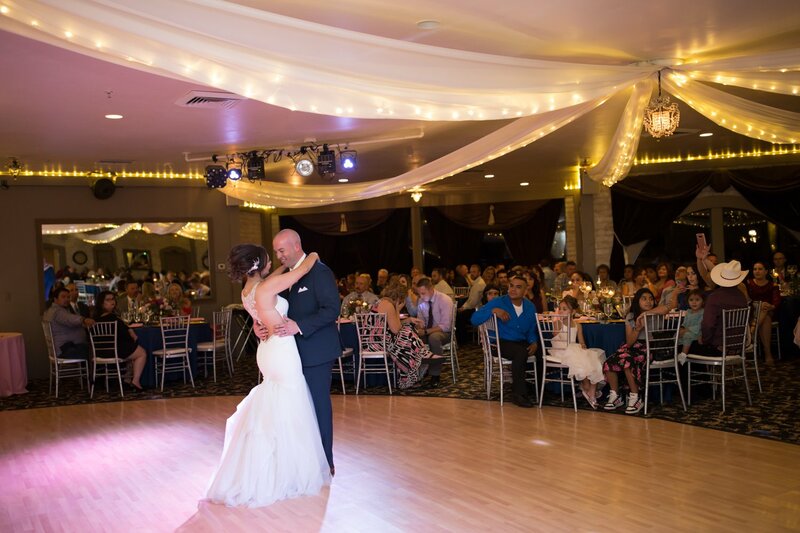 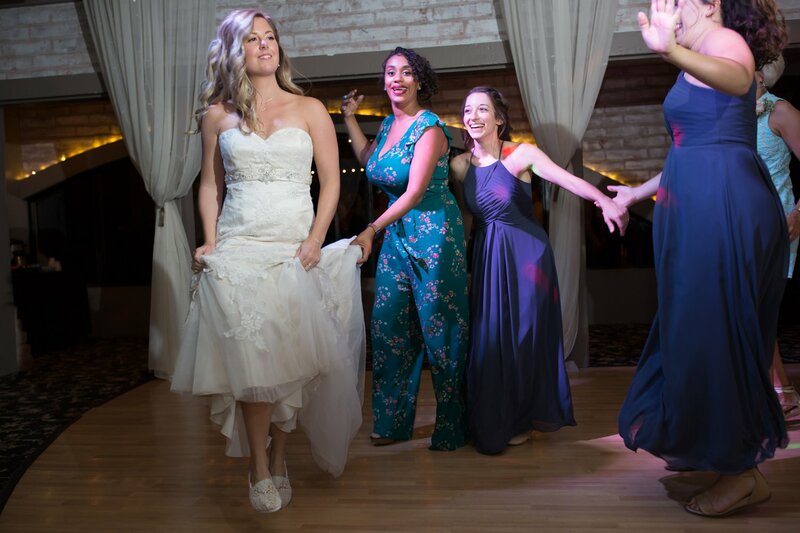 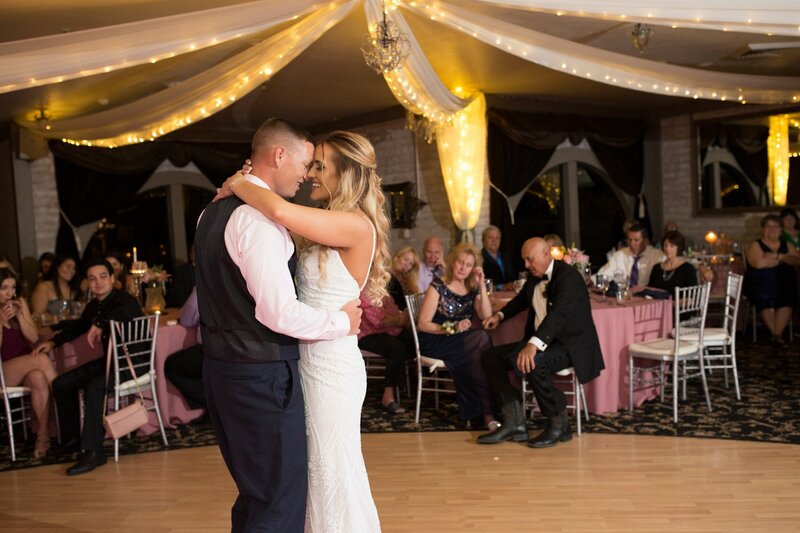 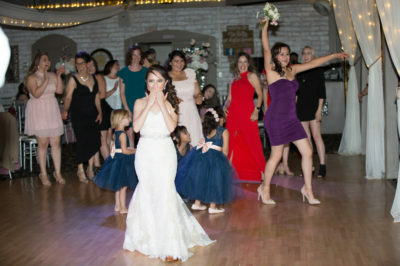 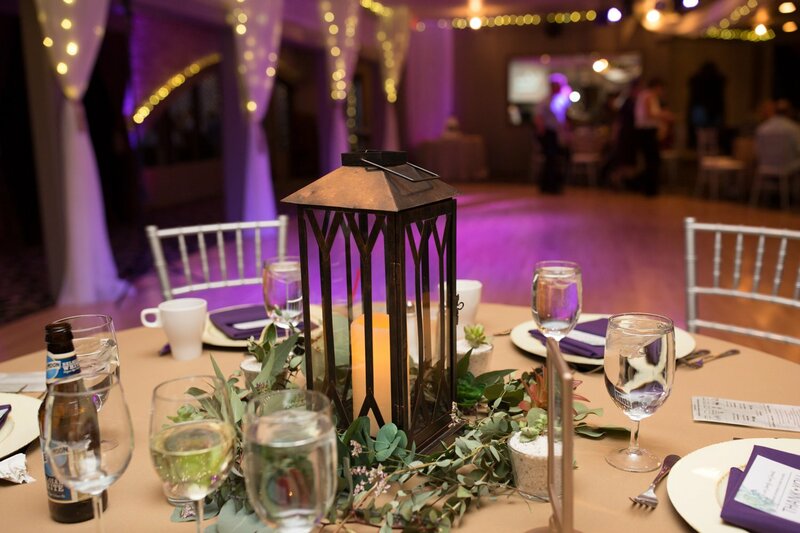 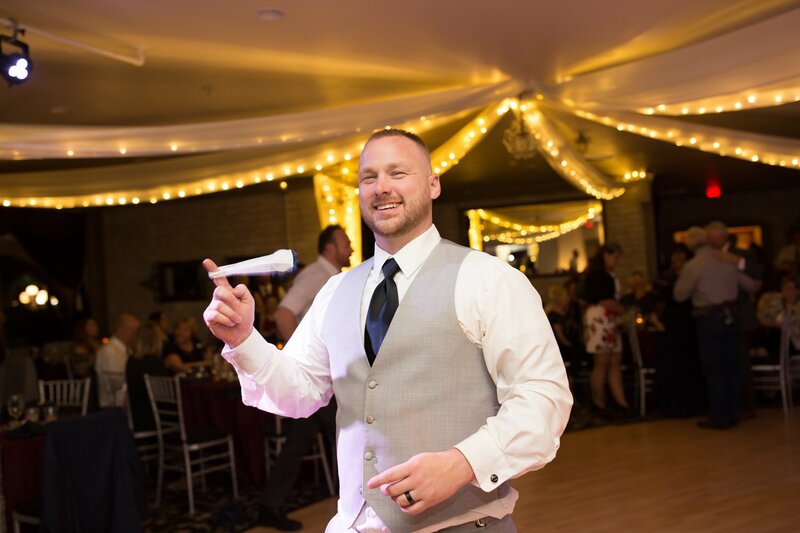 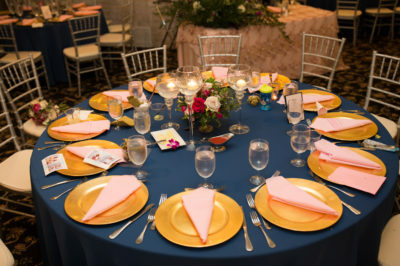 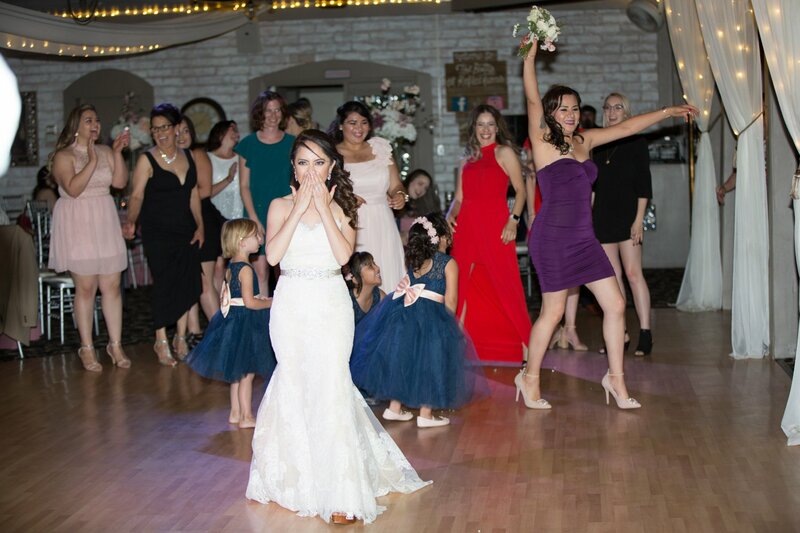 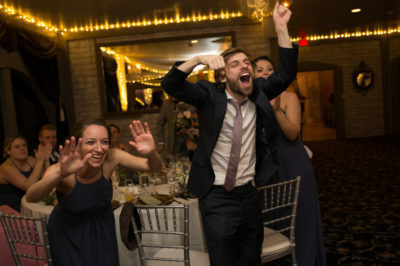 The reception hall has a large dance floor that is adorned with overhead lights. 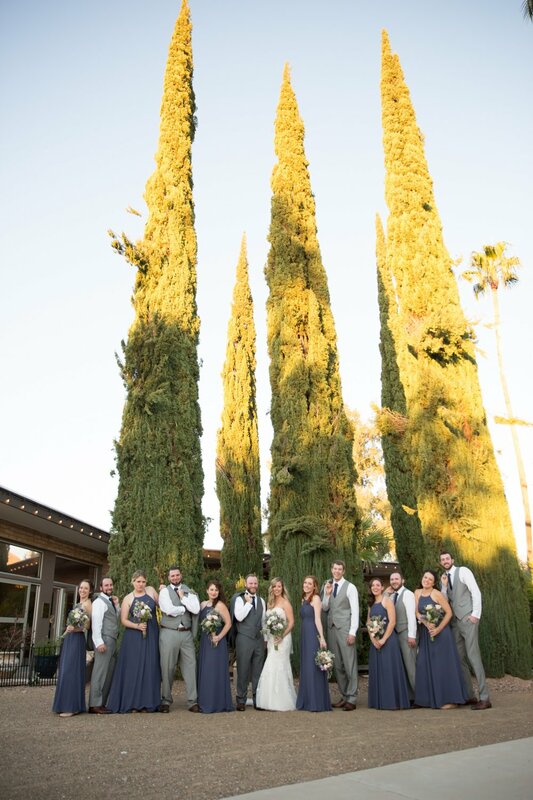 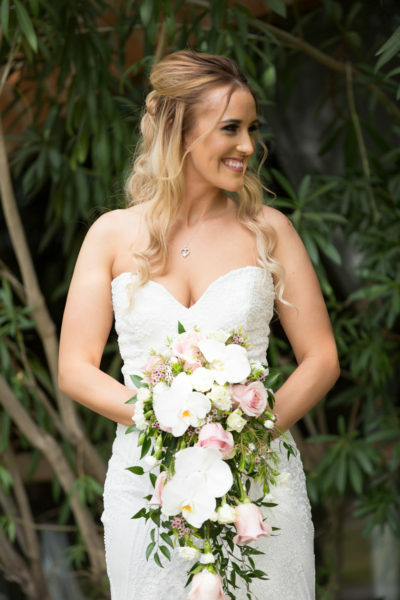 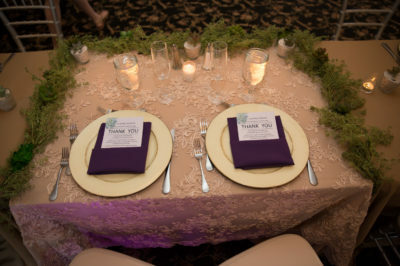 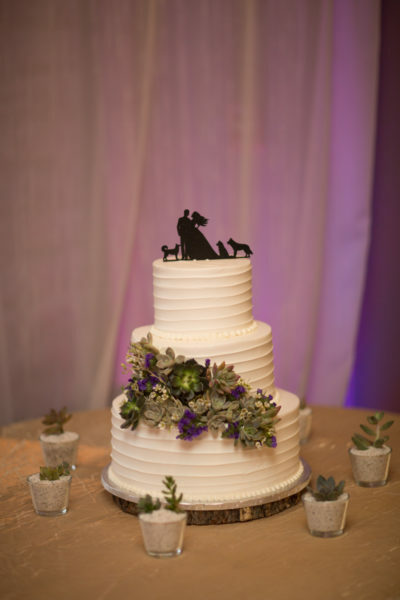 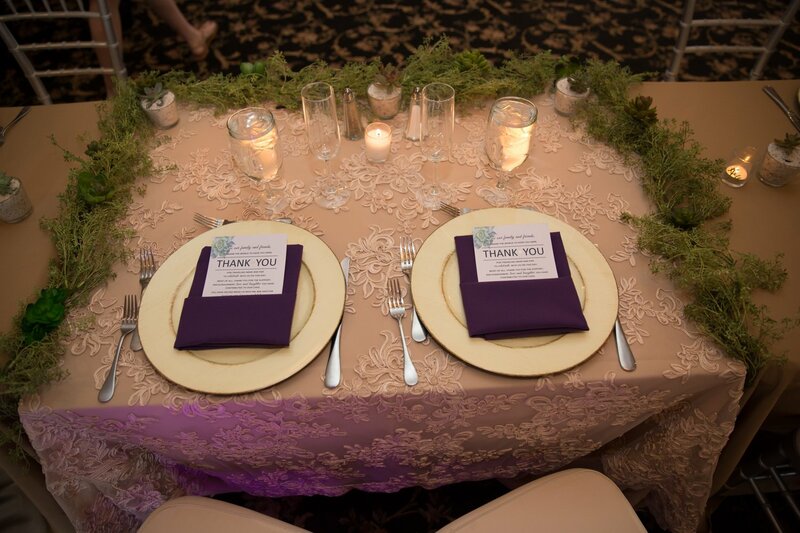 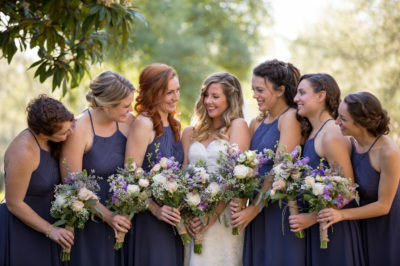 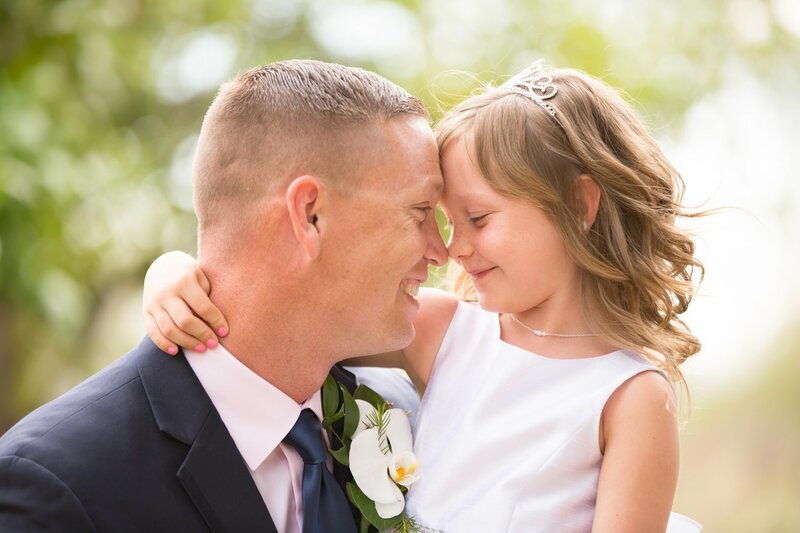 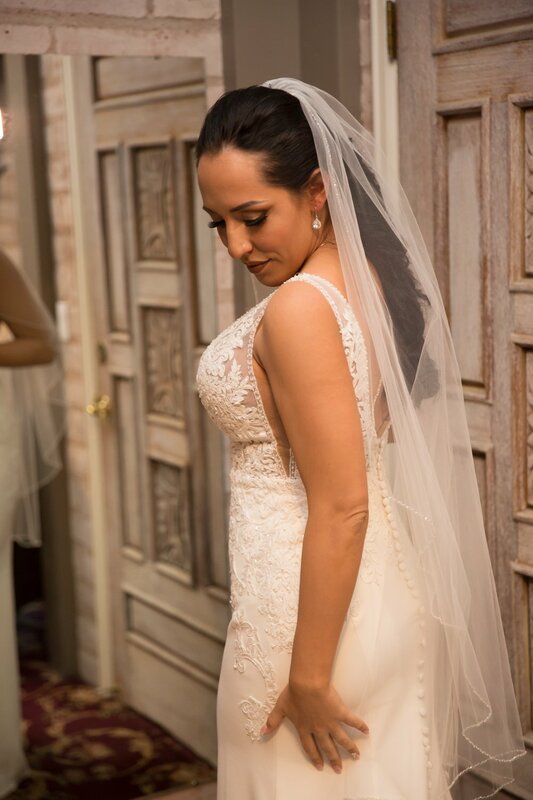 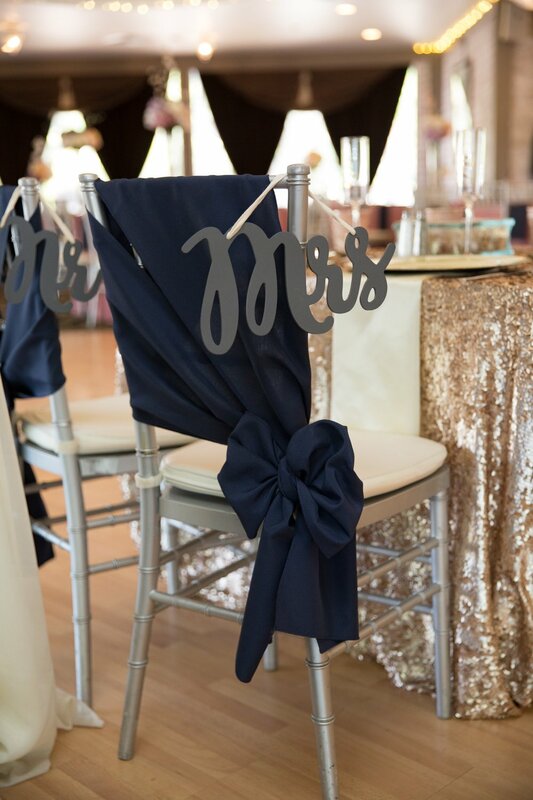 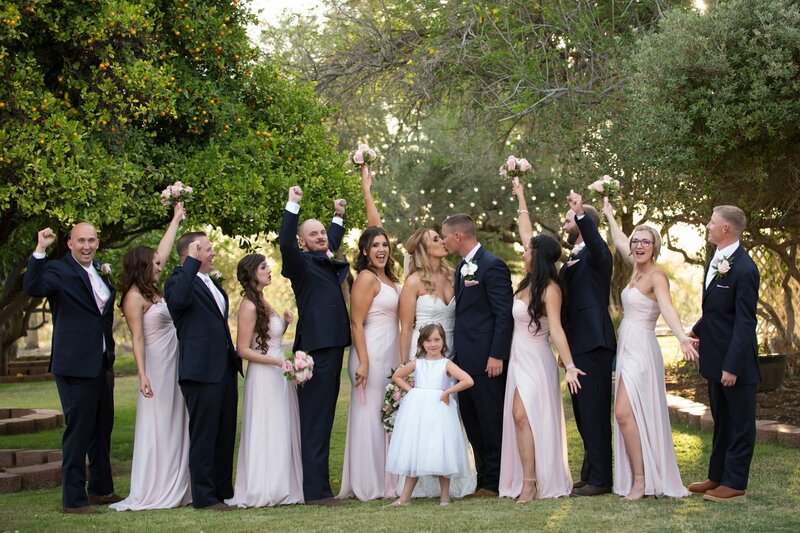 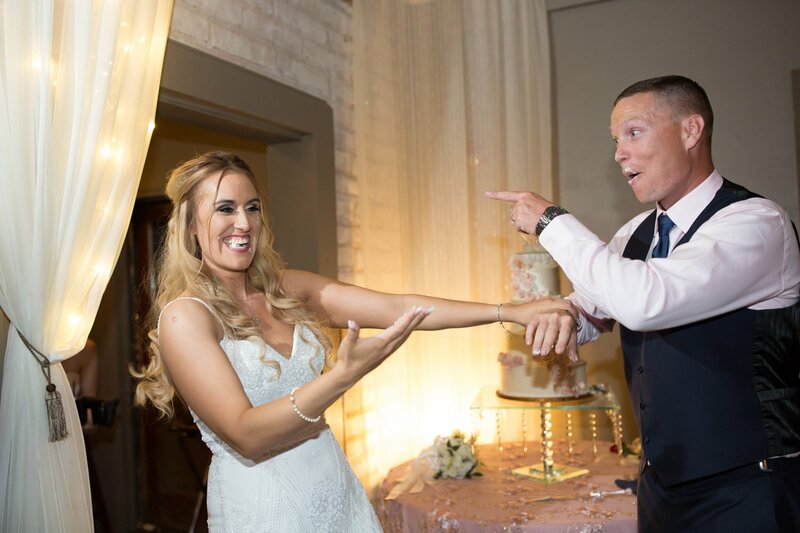 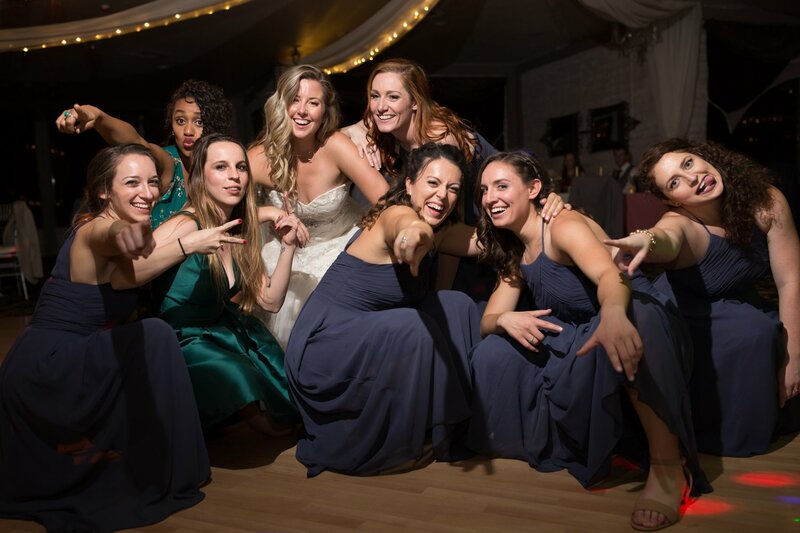 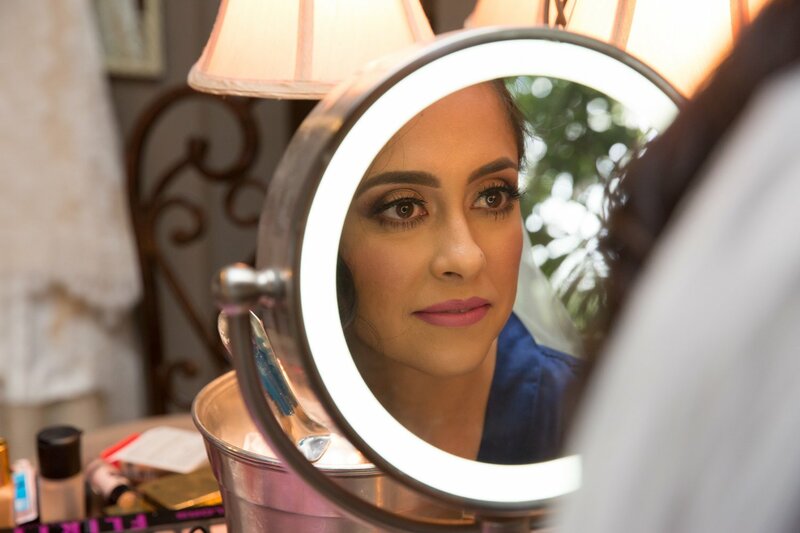 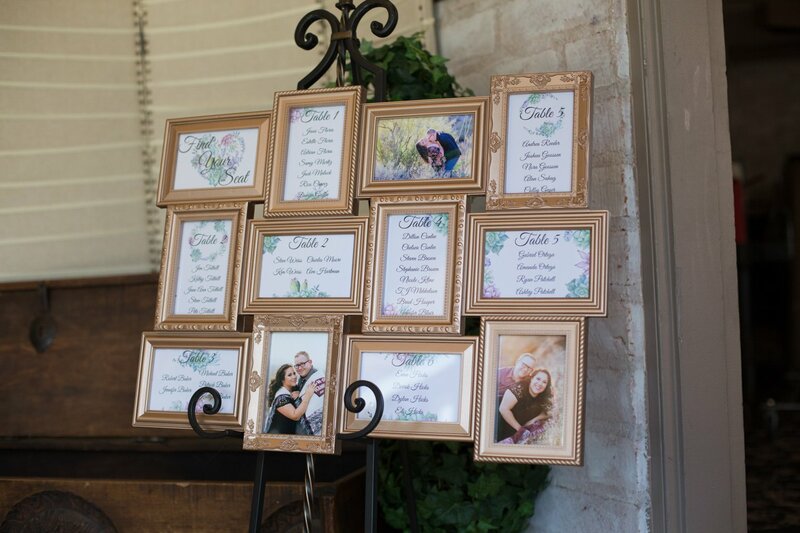 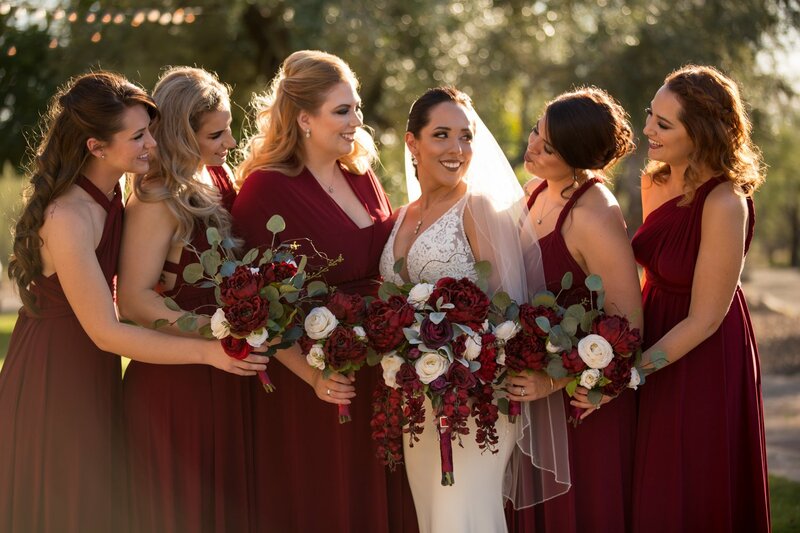 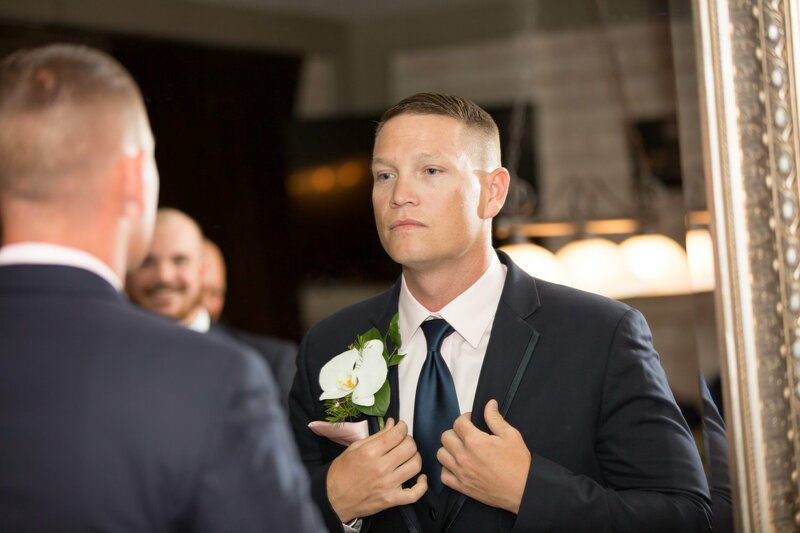 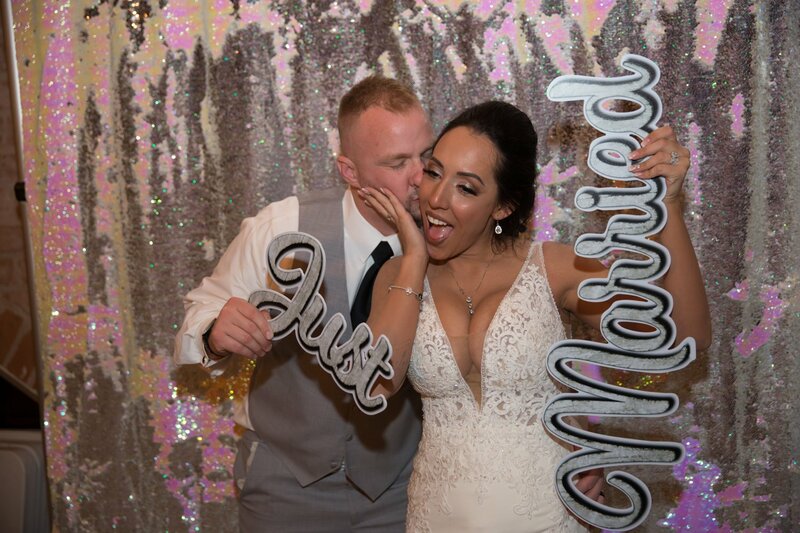 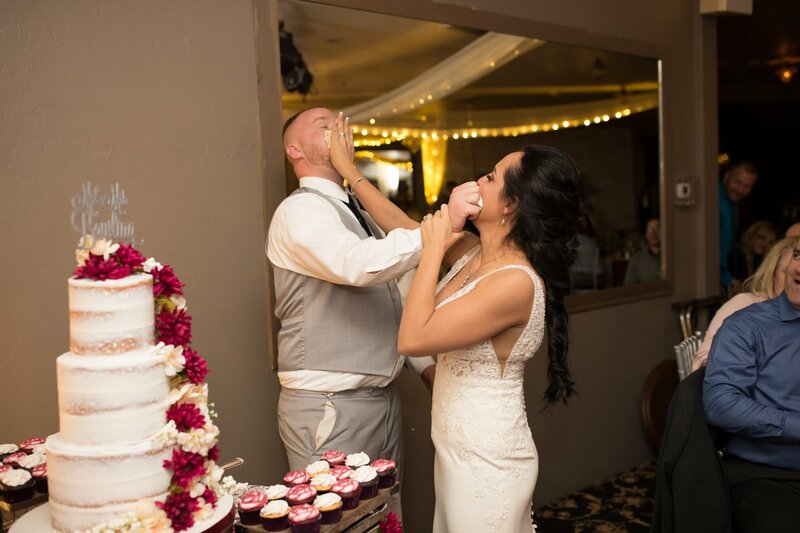 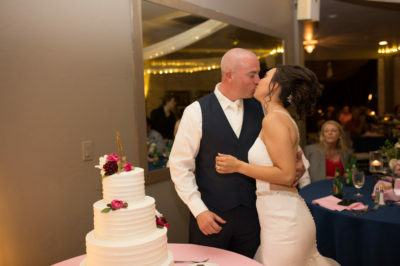 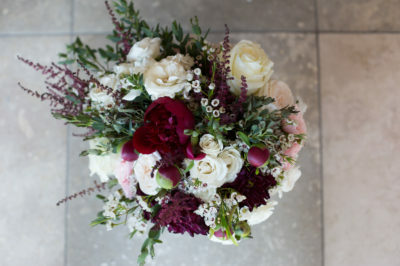 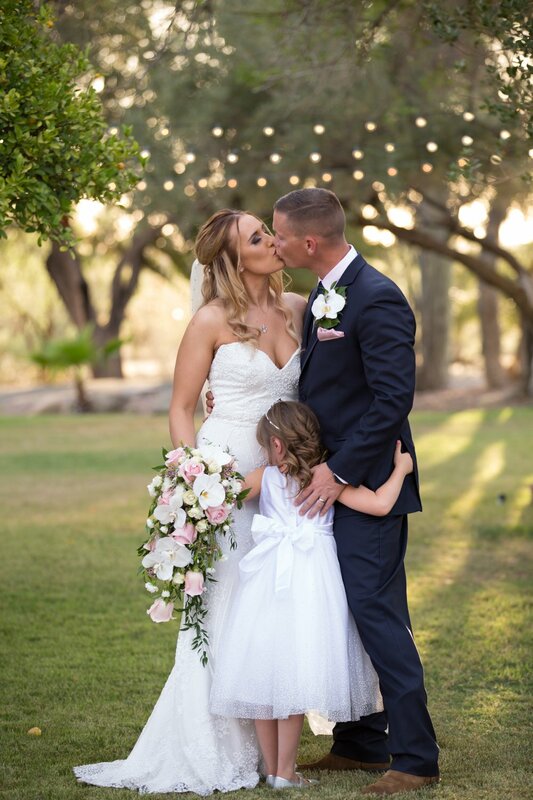 The drapery and warm lighting is perfect for capturing all the special moments. 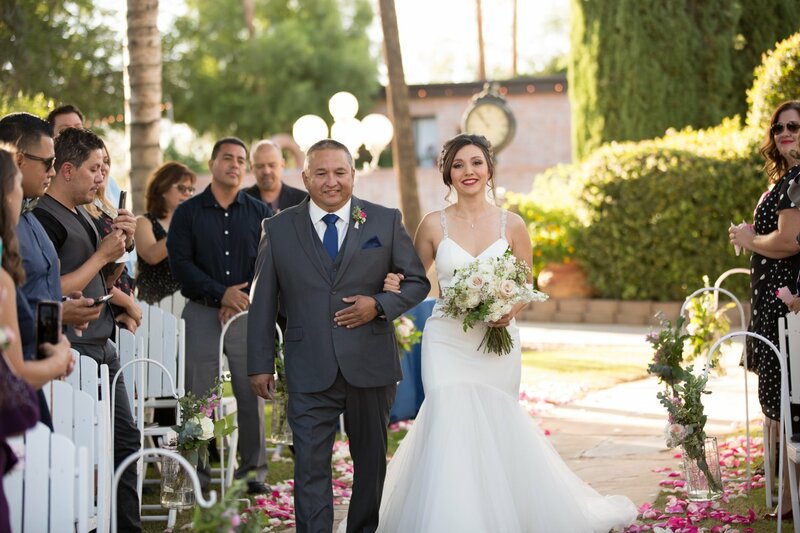 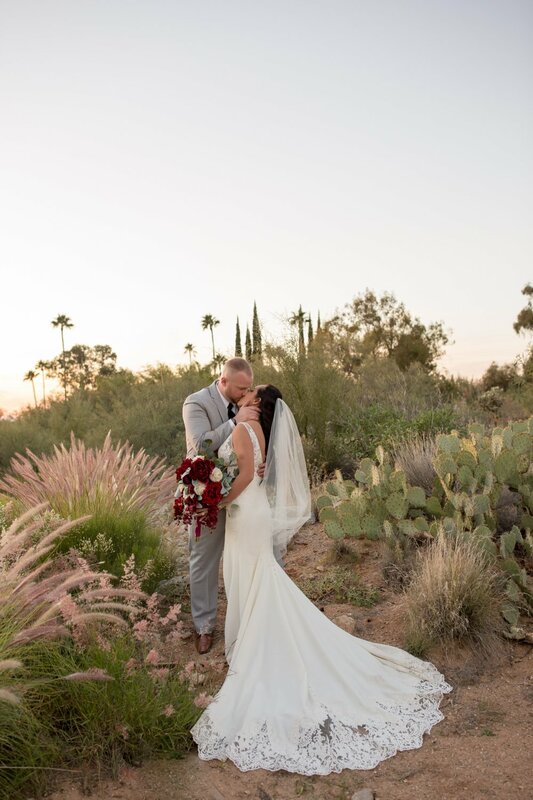 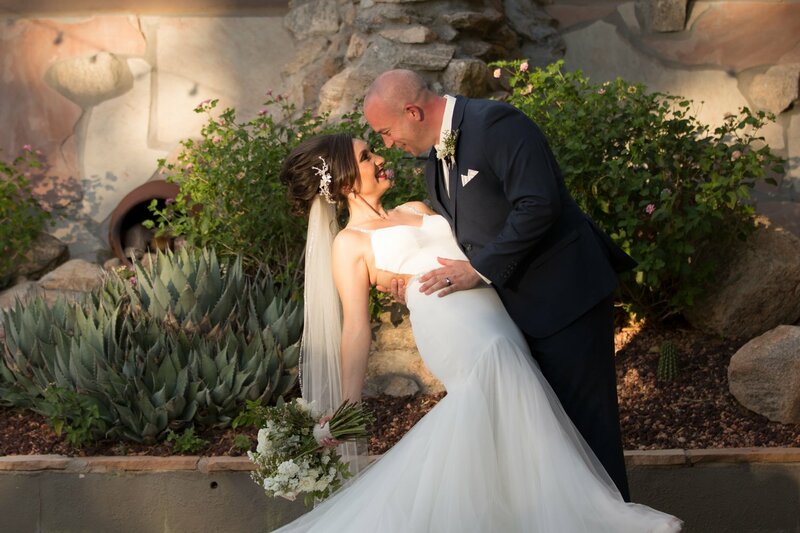 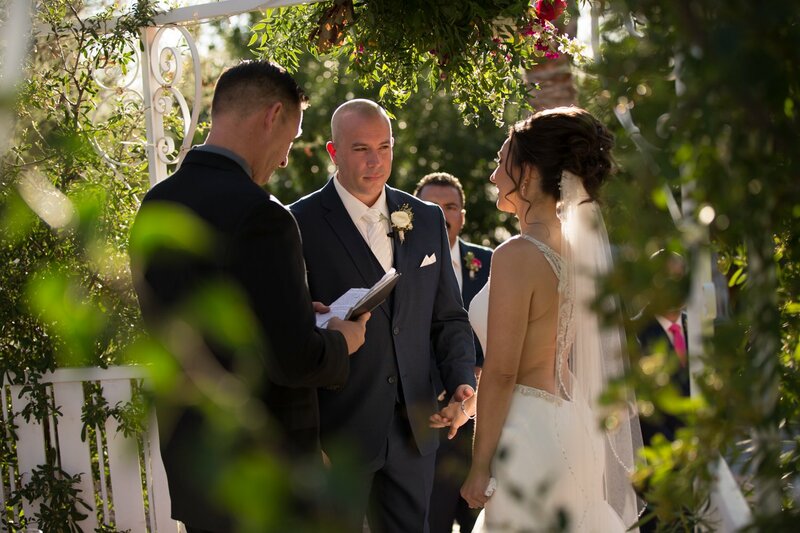 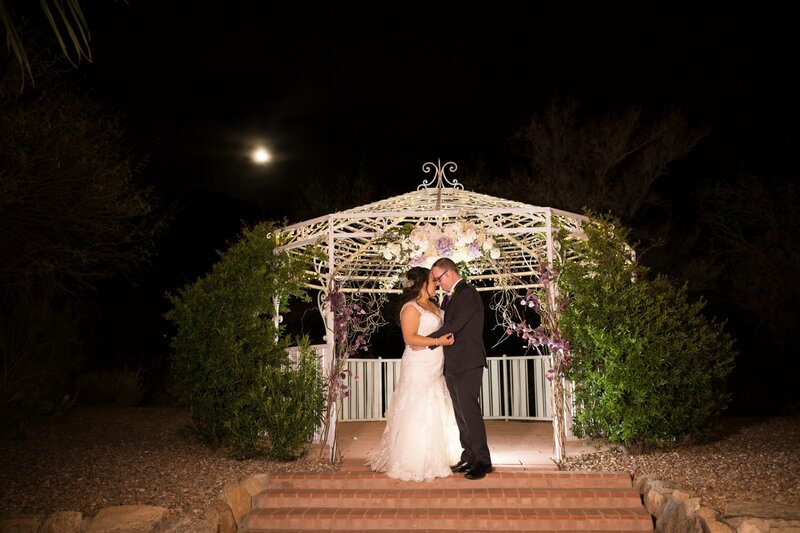 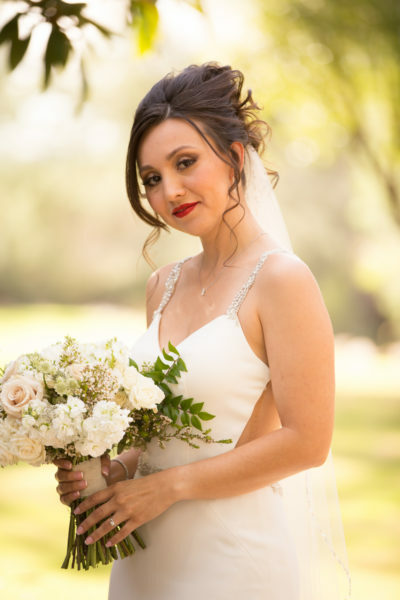 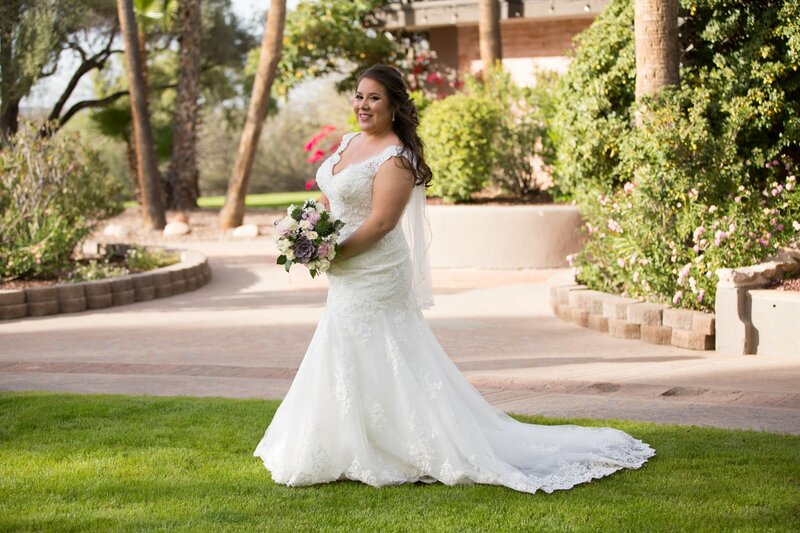 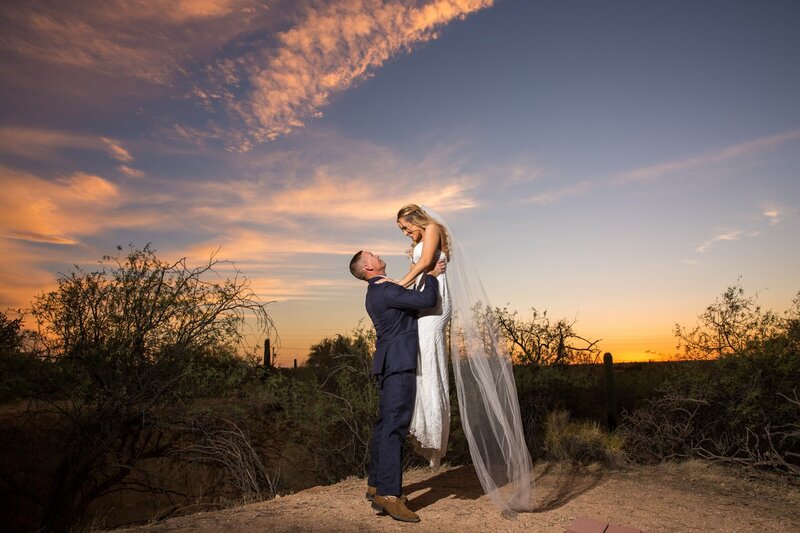 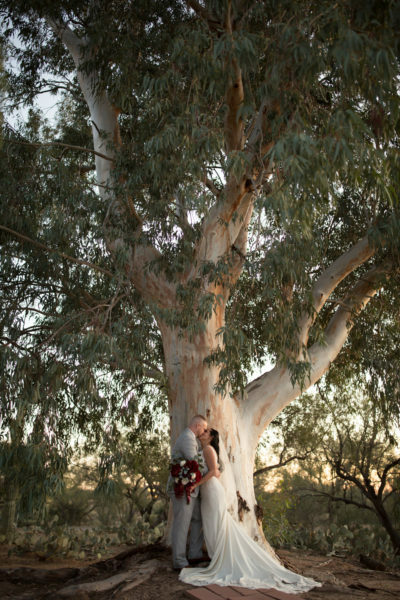 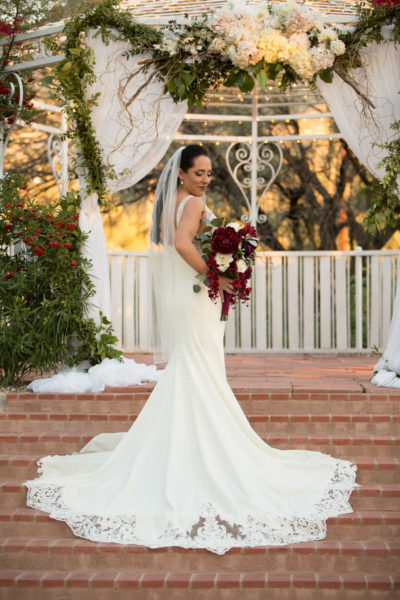 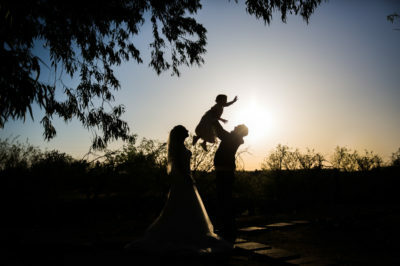 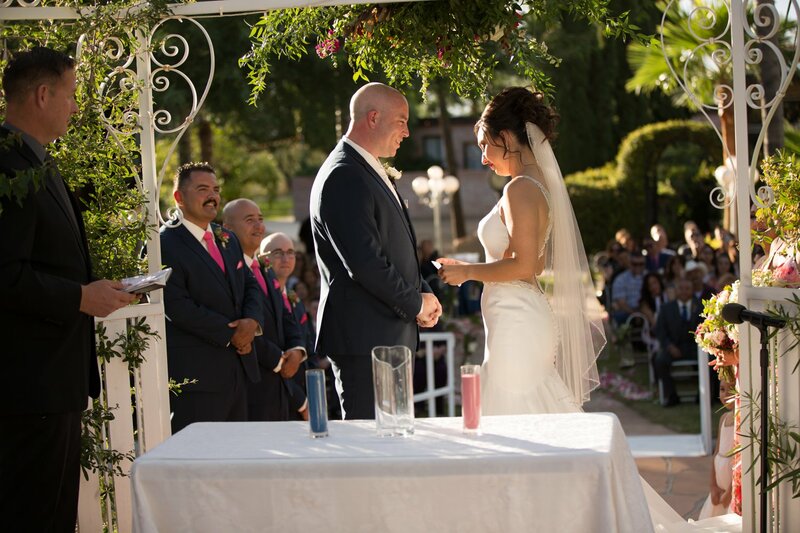 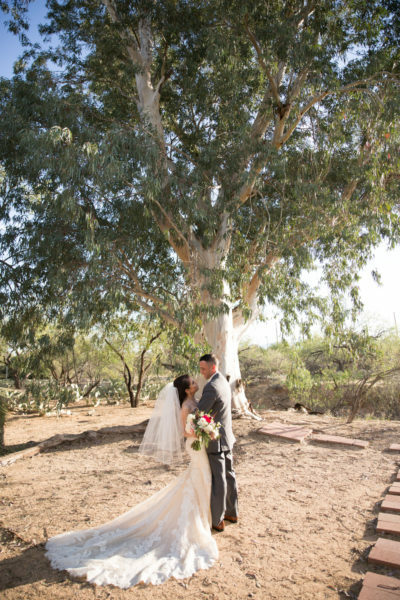 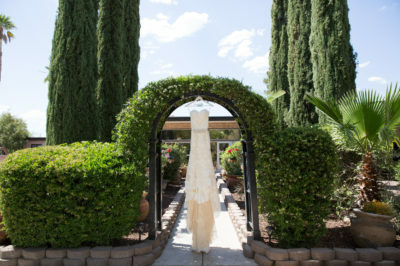 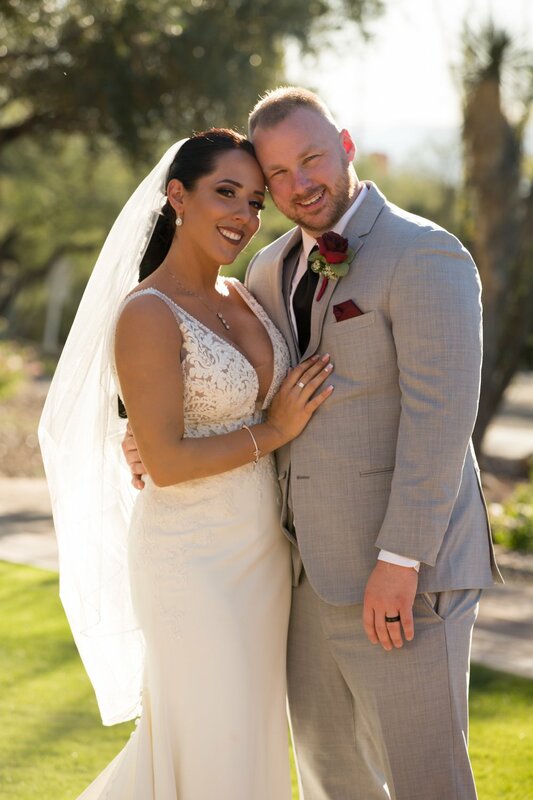 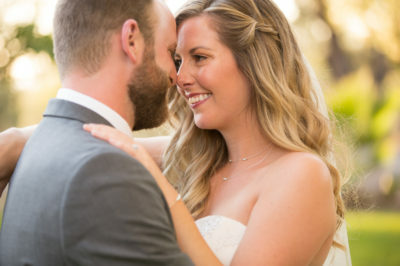 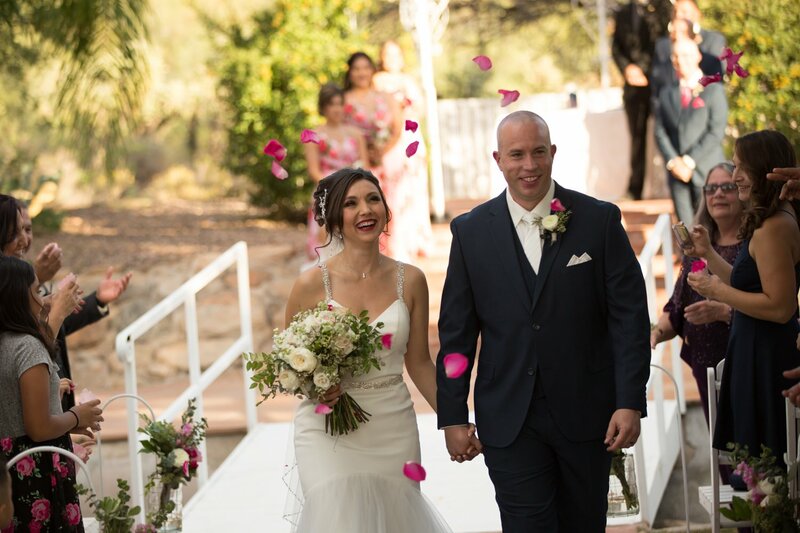 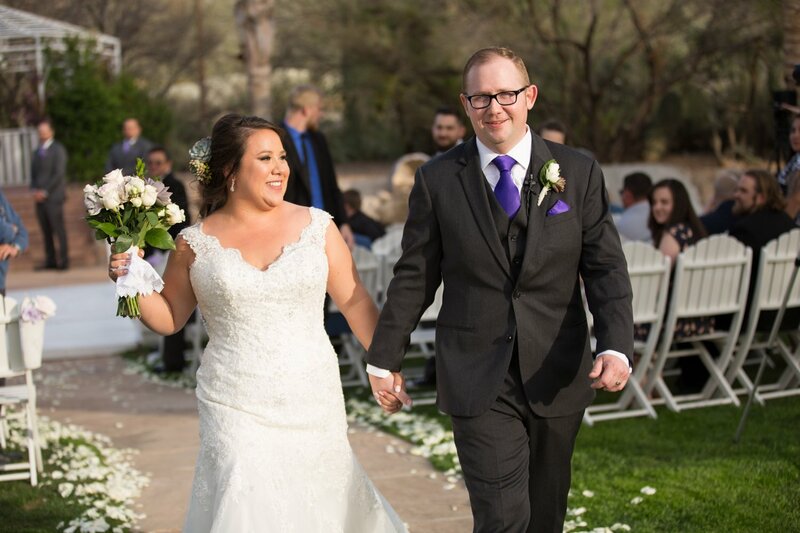 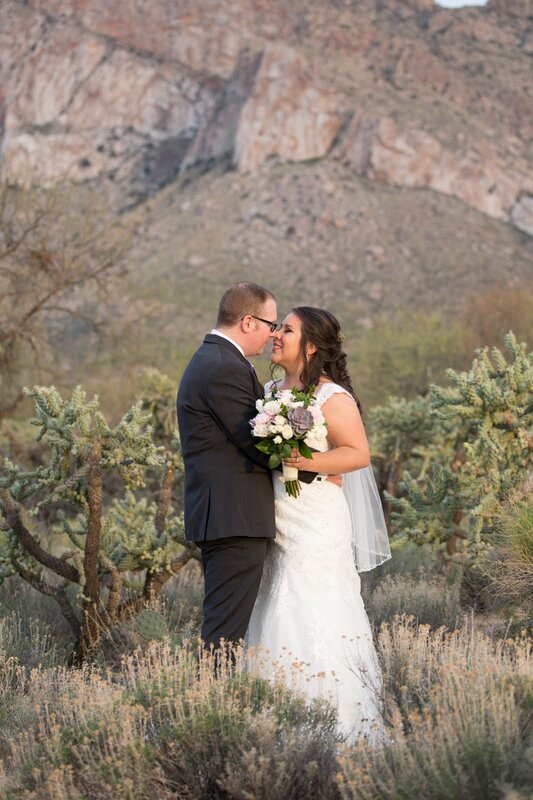 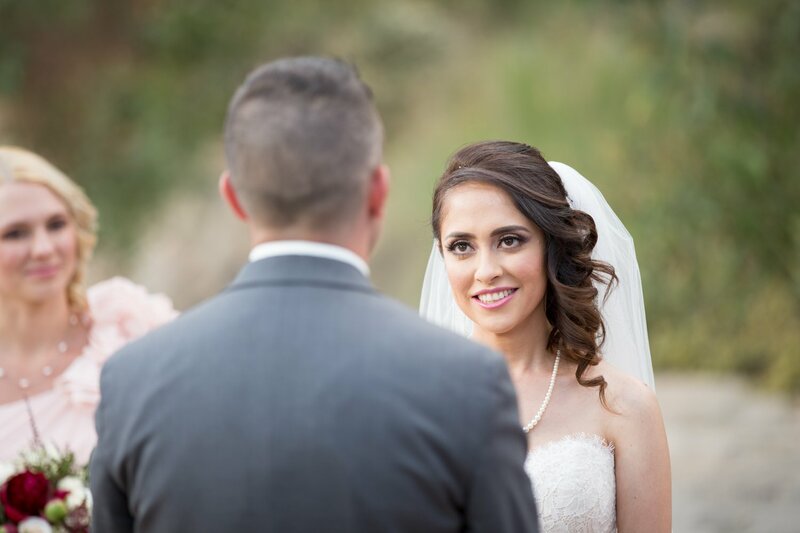 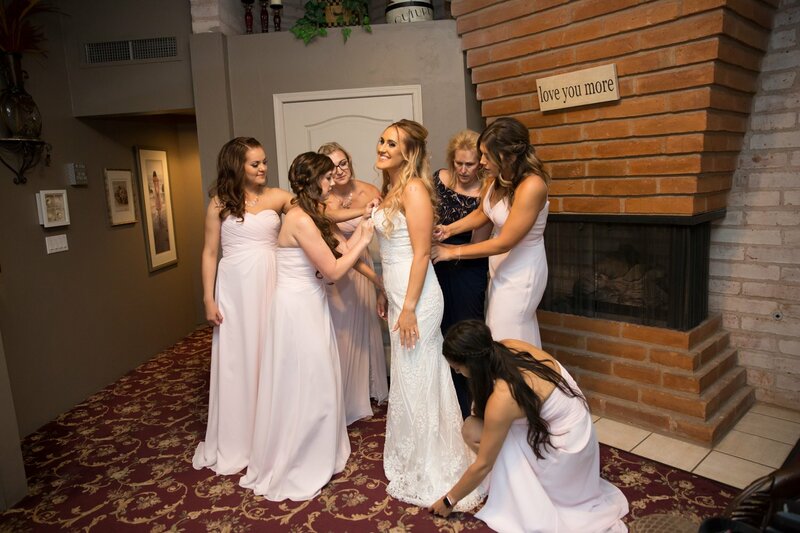 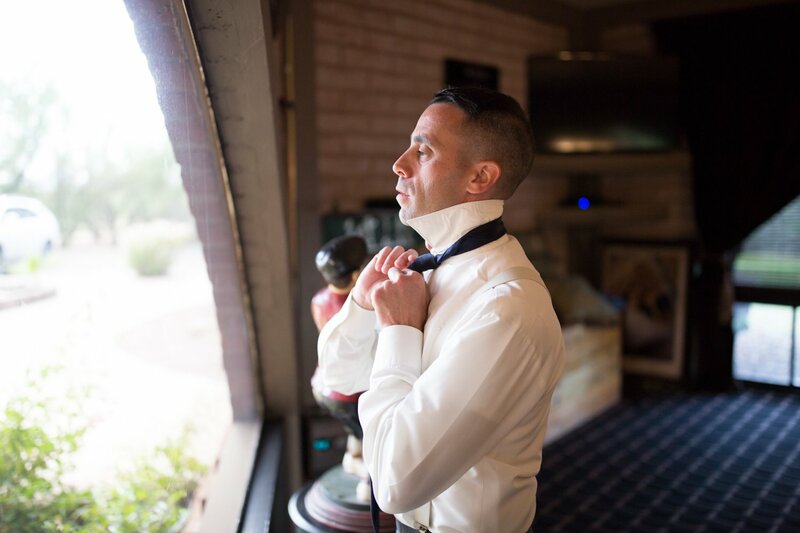 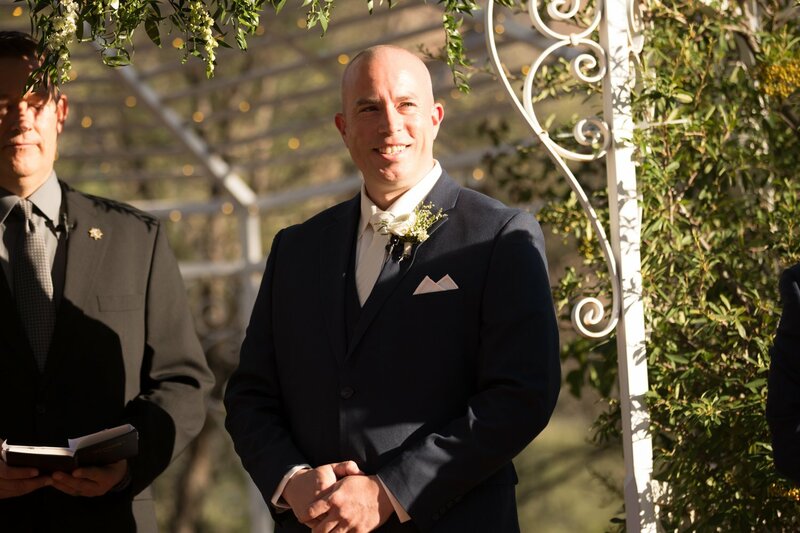 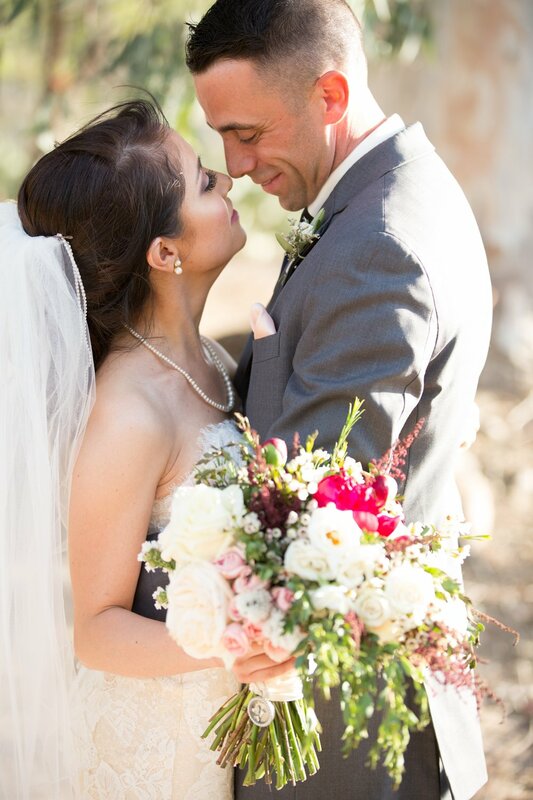 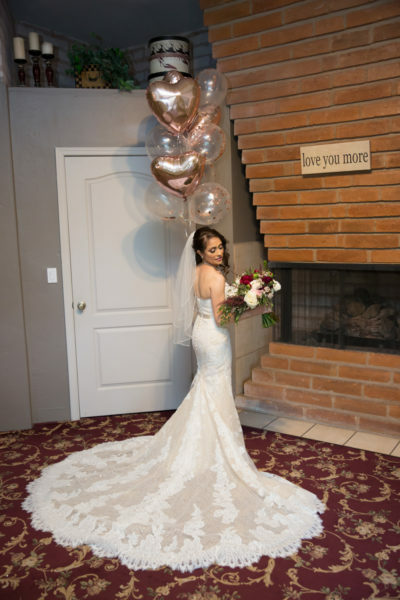 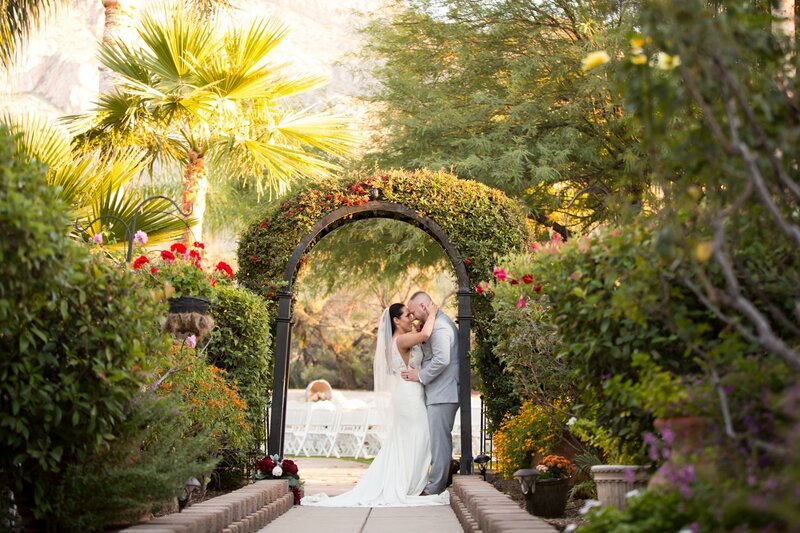 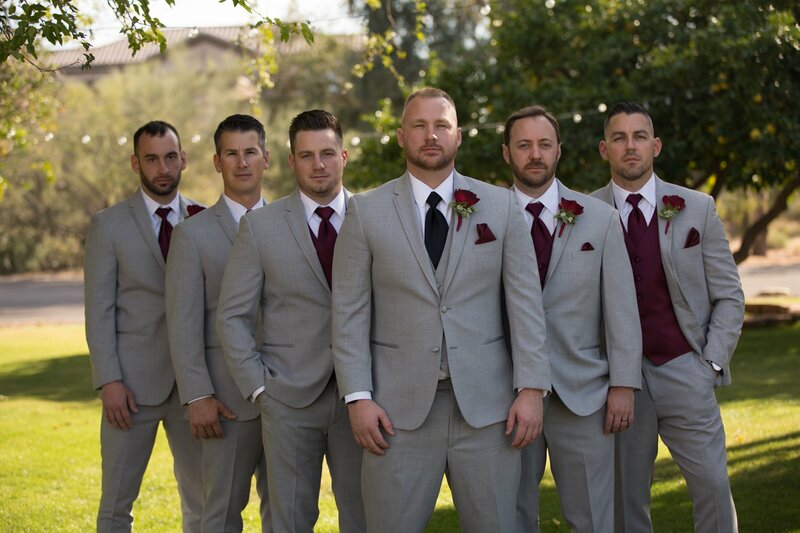 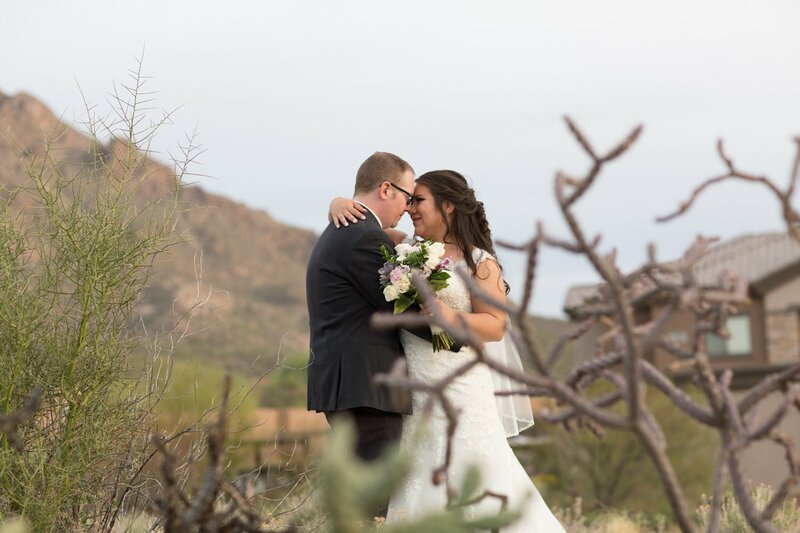 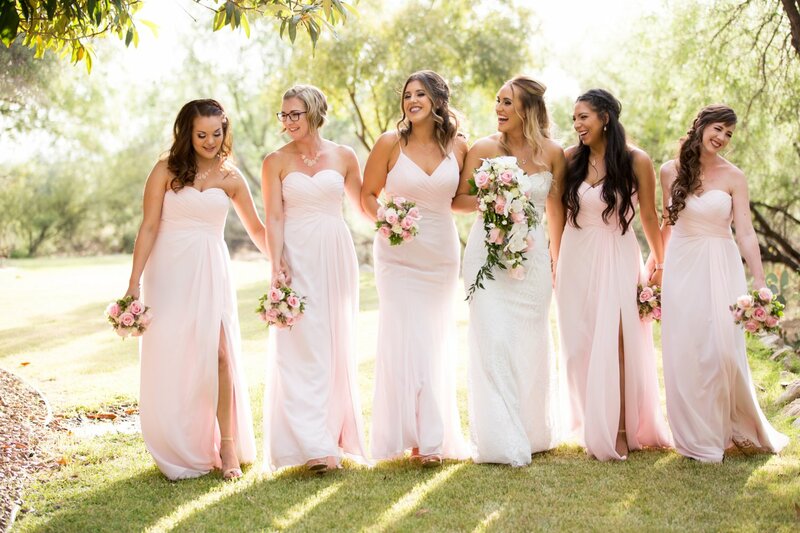 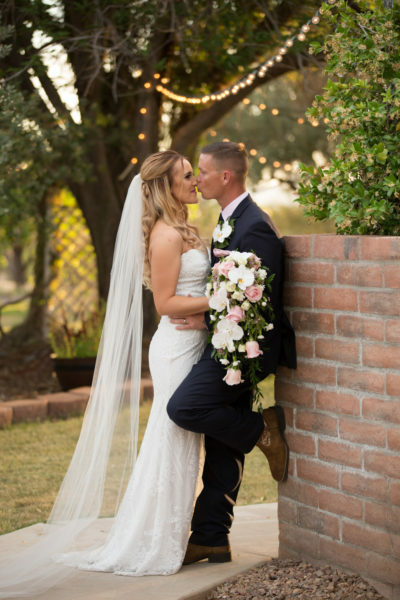 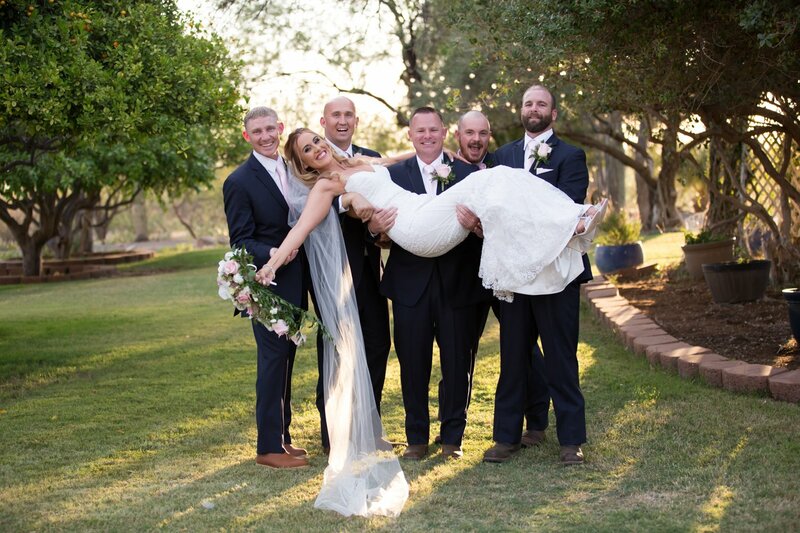 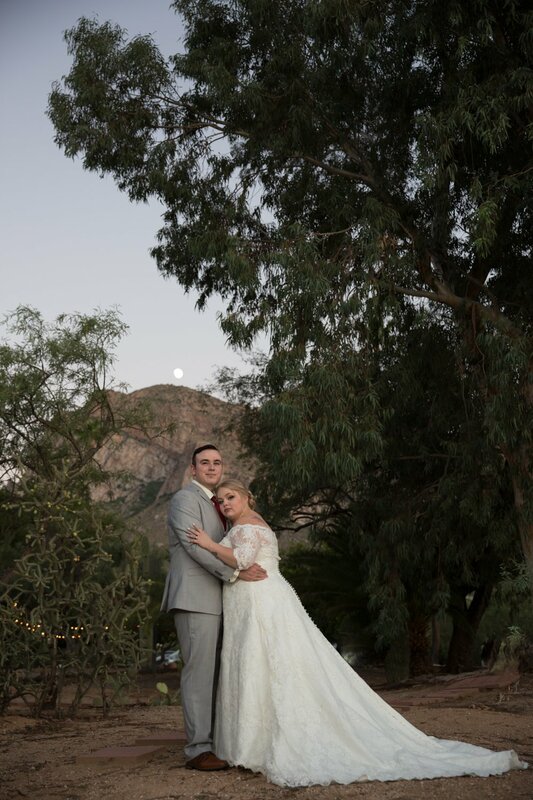 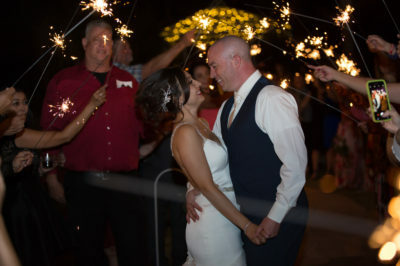 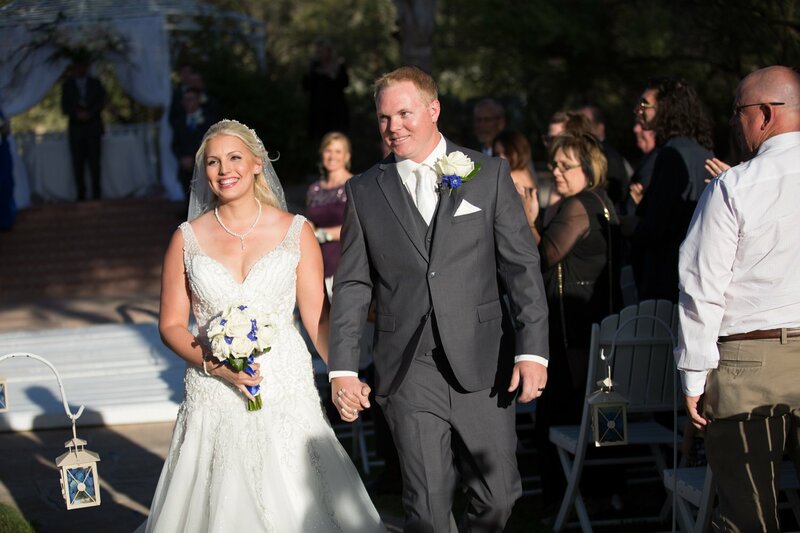 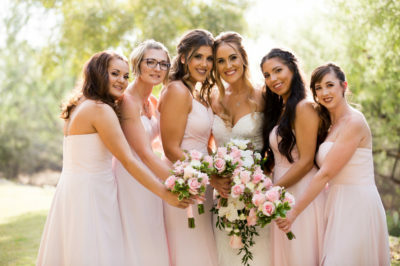 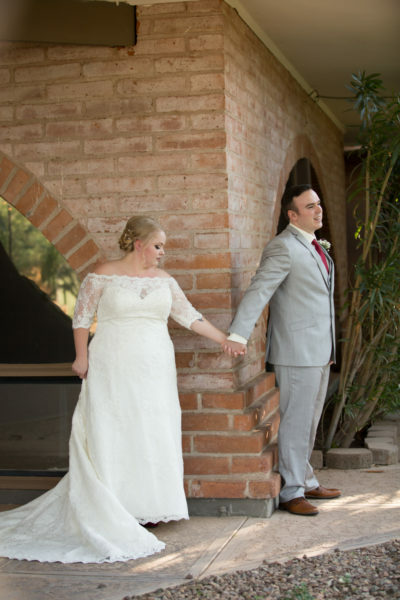 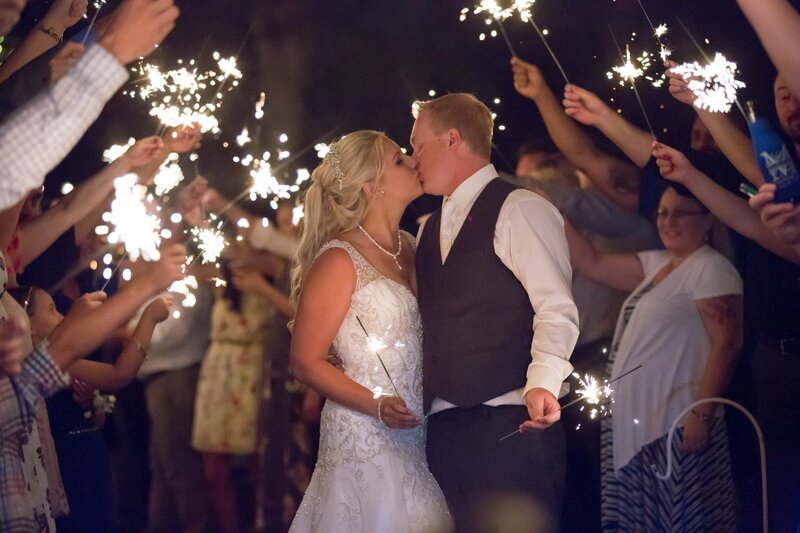 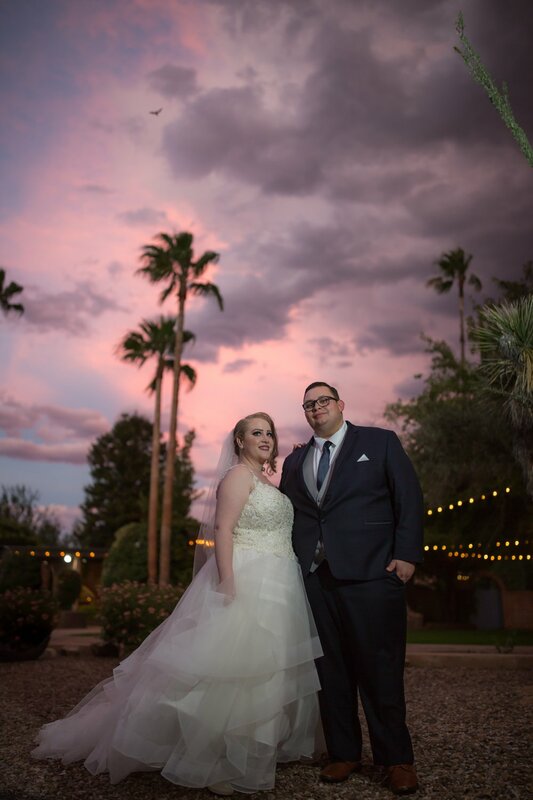 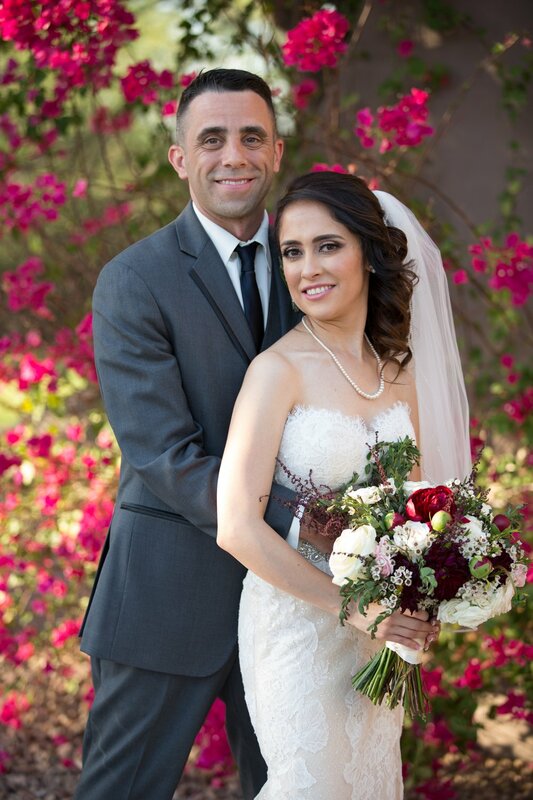 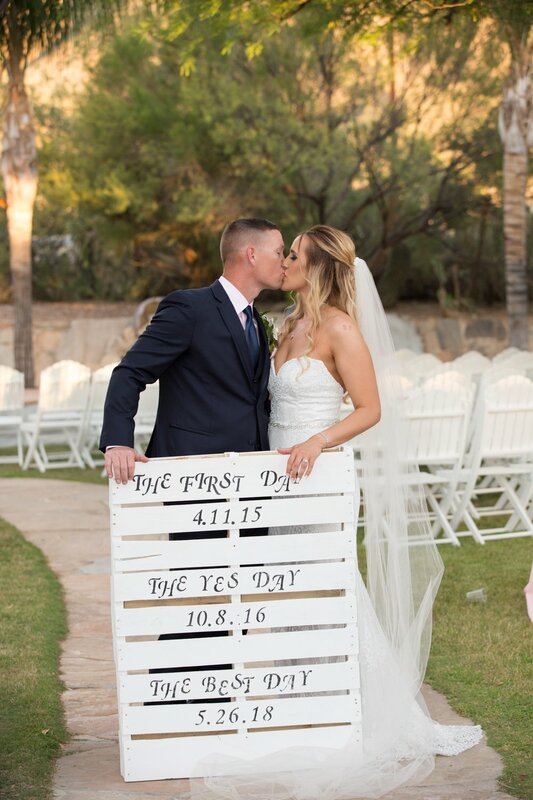 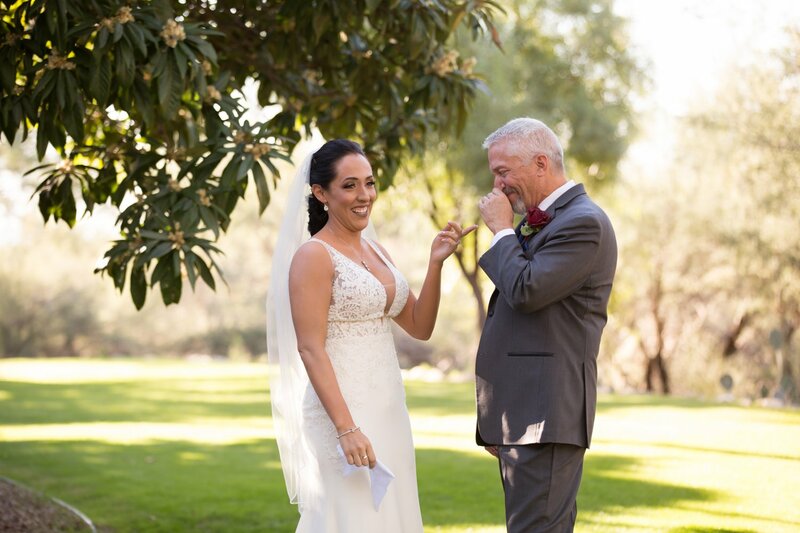 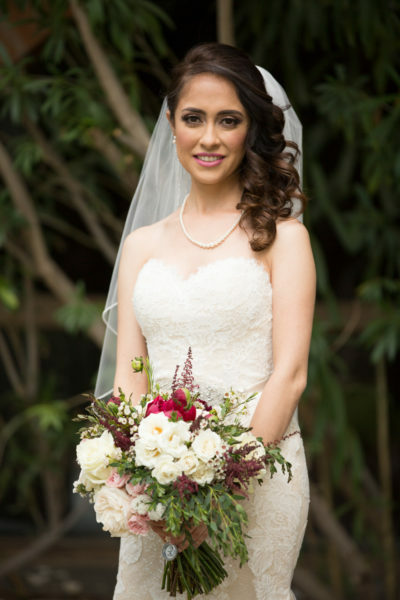 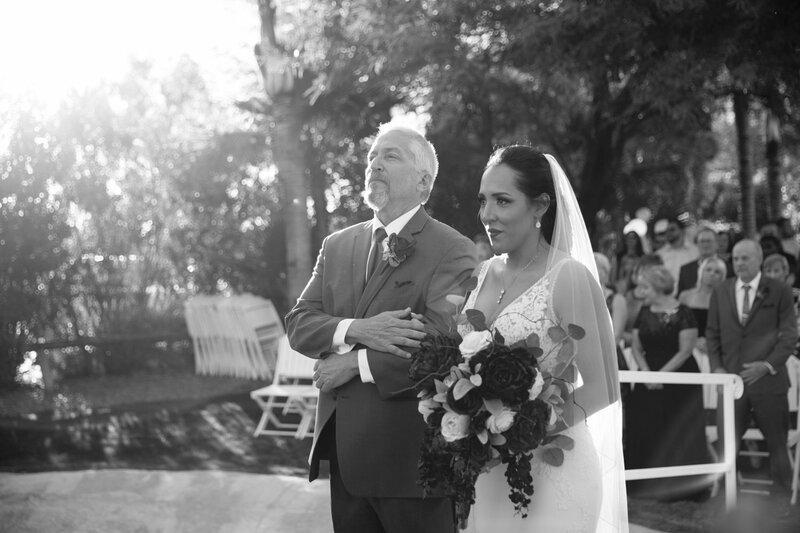 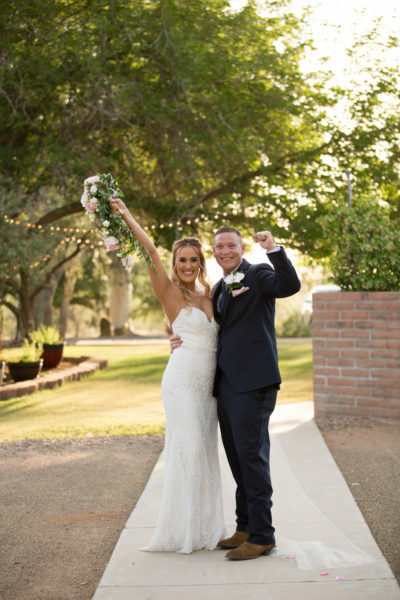 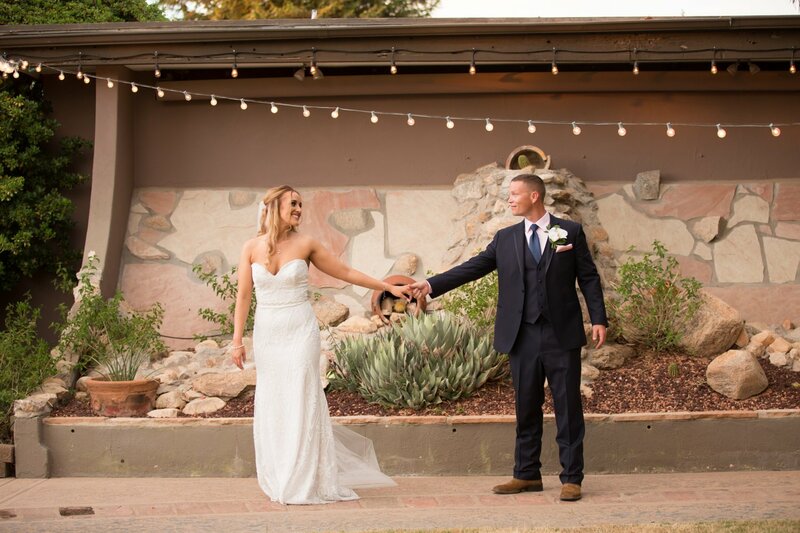 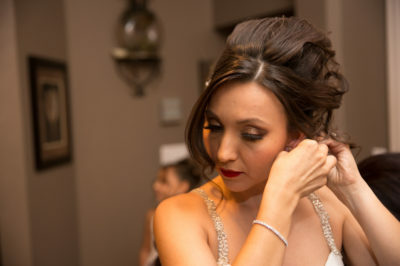 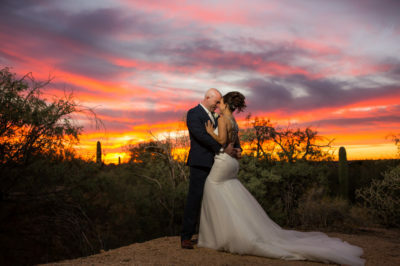 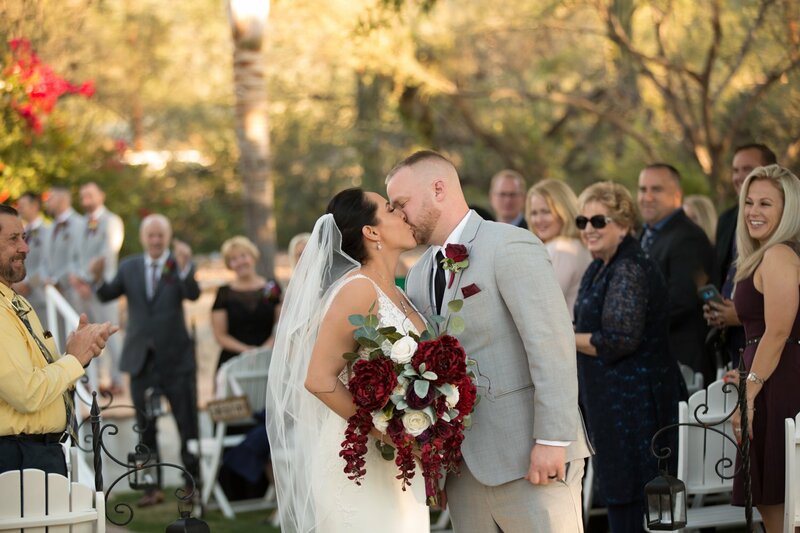 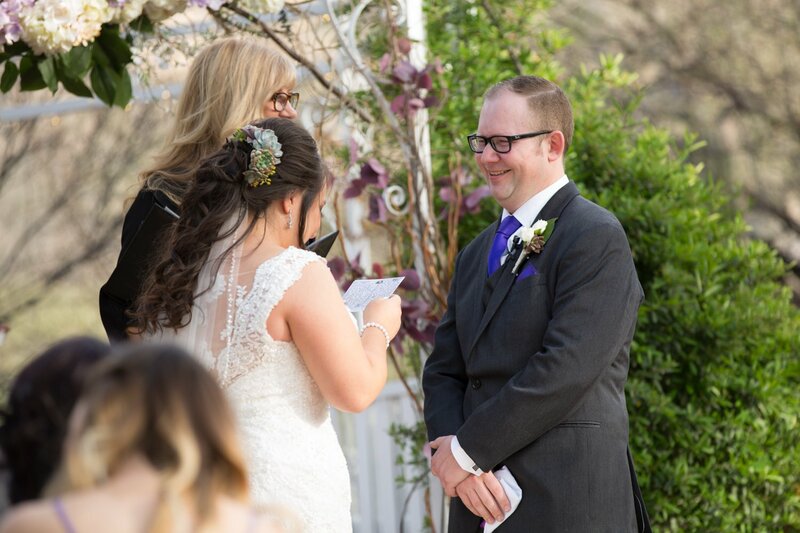 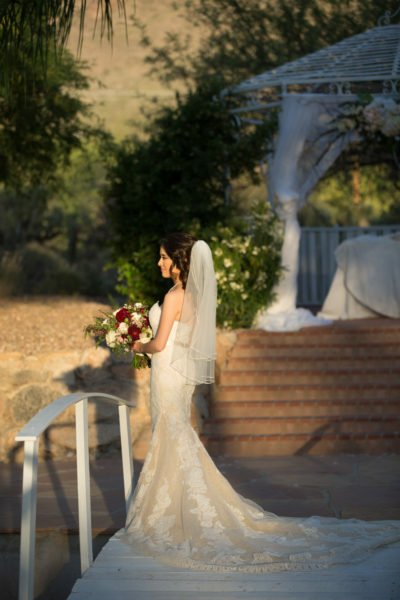 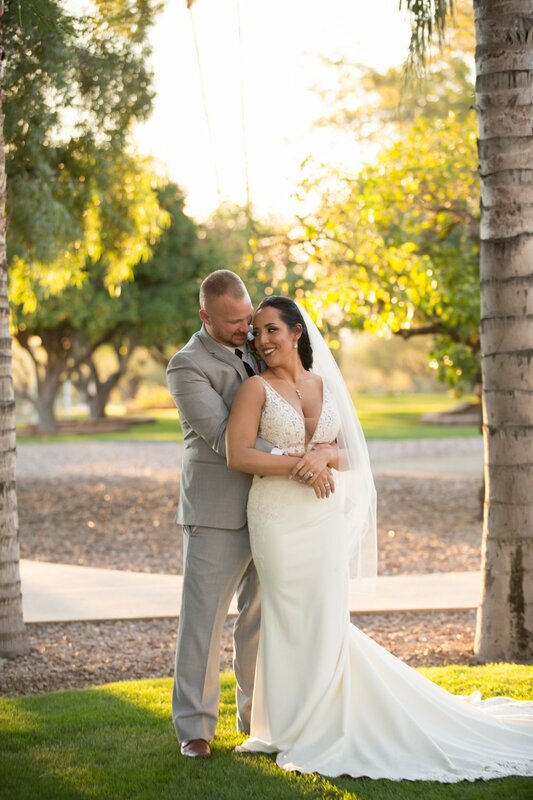 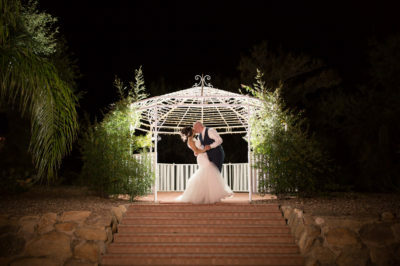 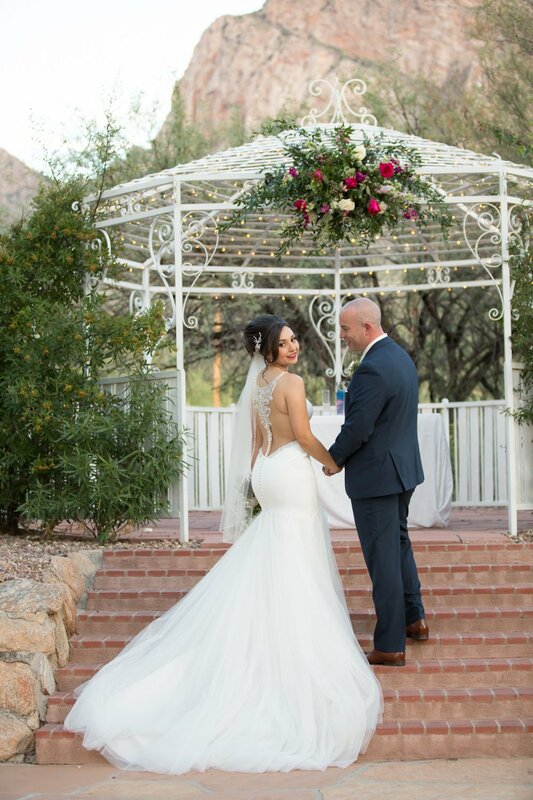 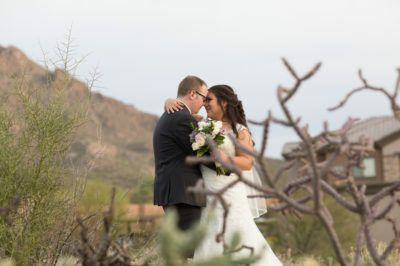 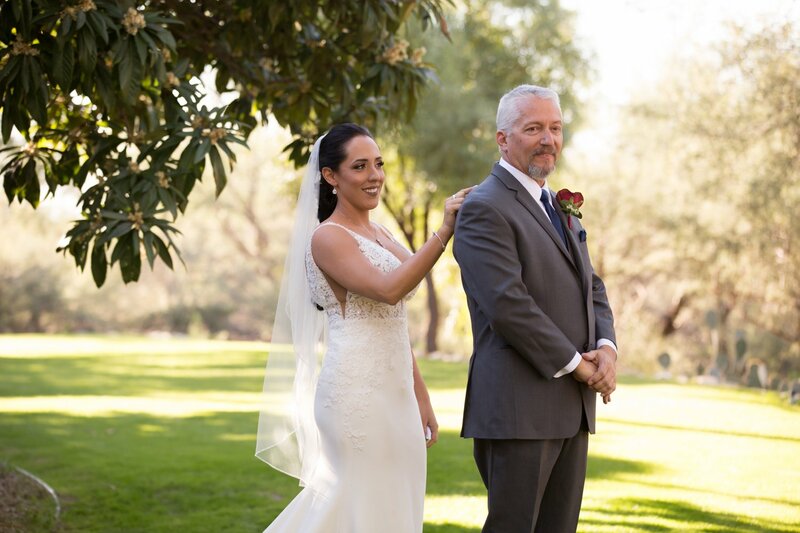 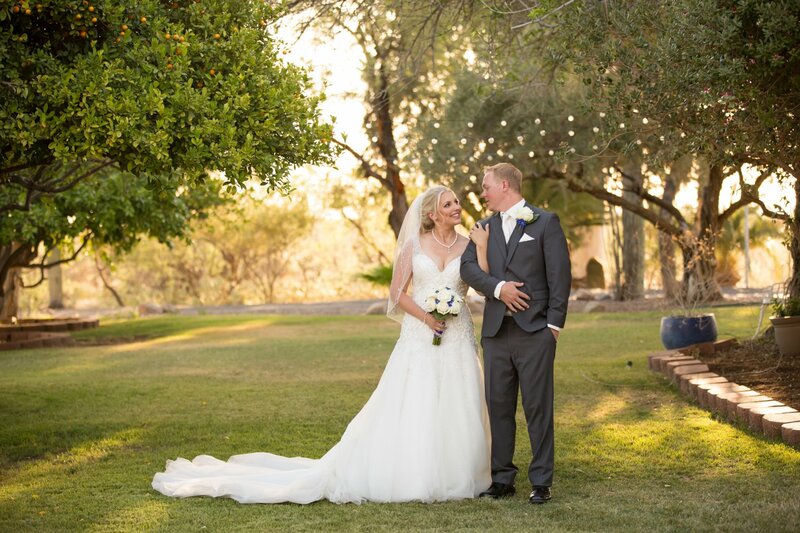 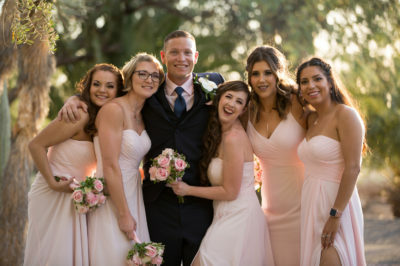 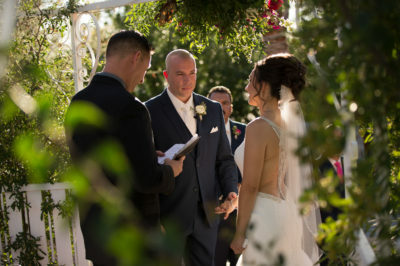 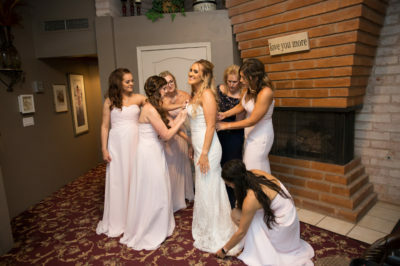 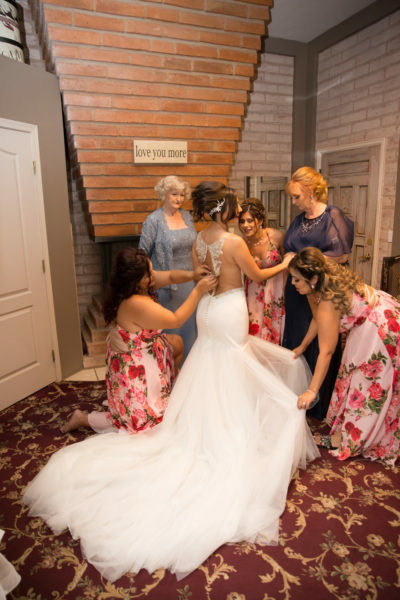 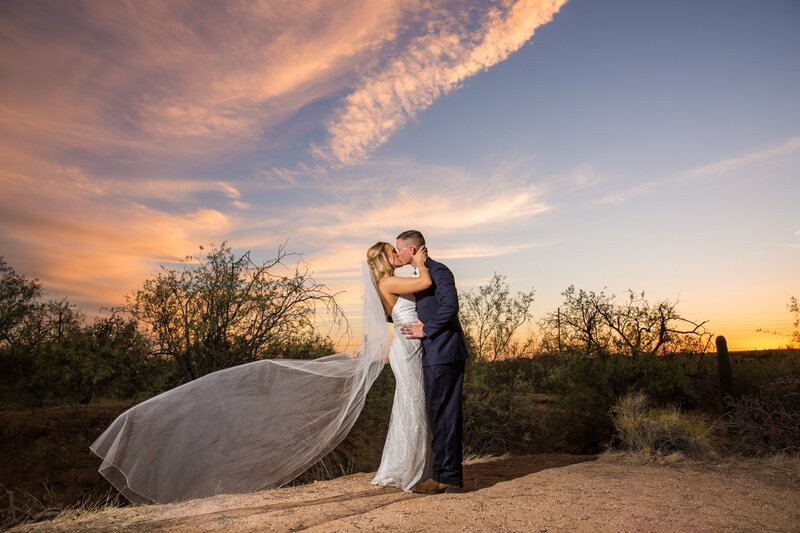 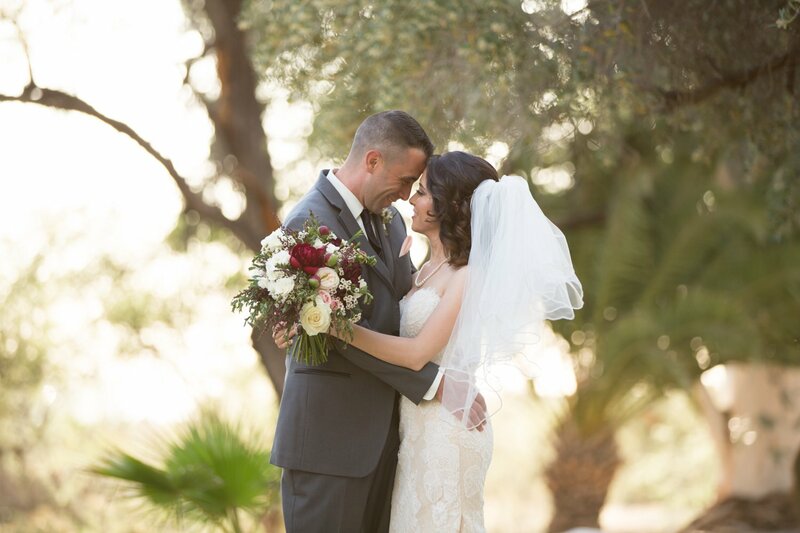 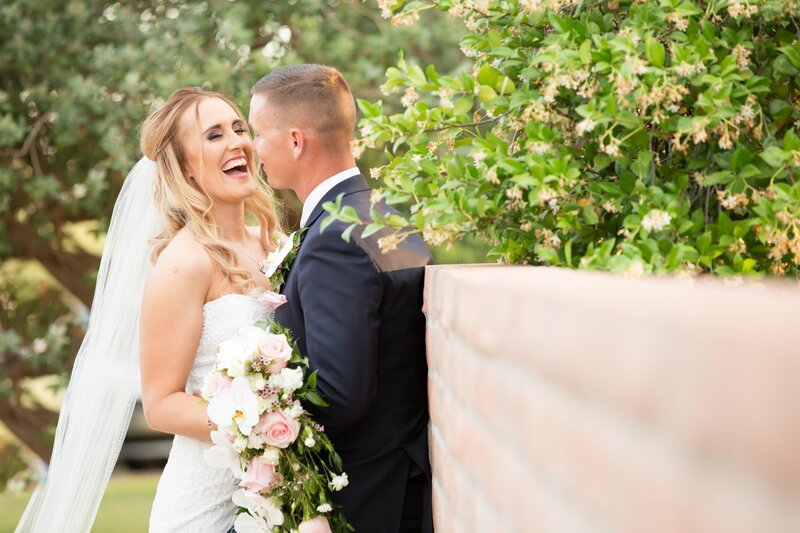 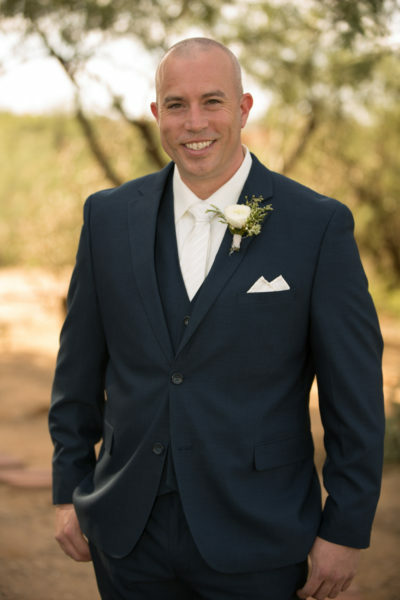 As Tucson wedding photographers, there are so many wonderful photo opportunities on the venue grounds. 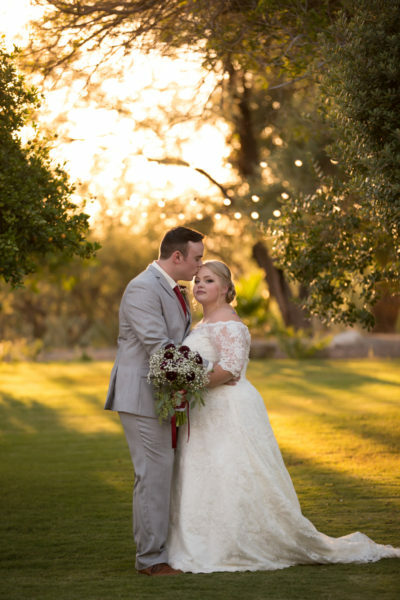 The large tree out front is the perfect place to catch one of Arizona's stunning sunsets. 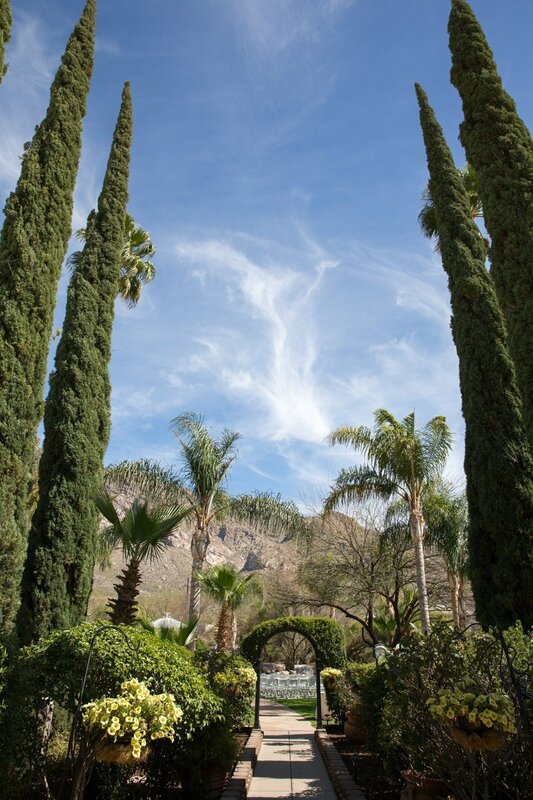 In addition, a short walk to the mountains is also a photography favorite. The cocktail hour located on the patio has another bridge with mountain views.